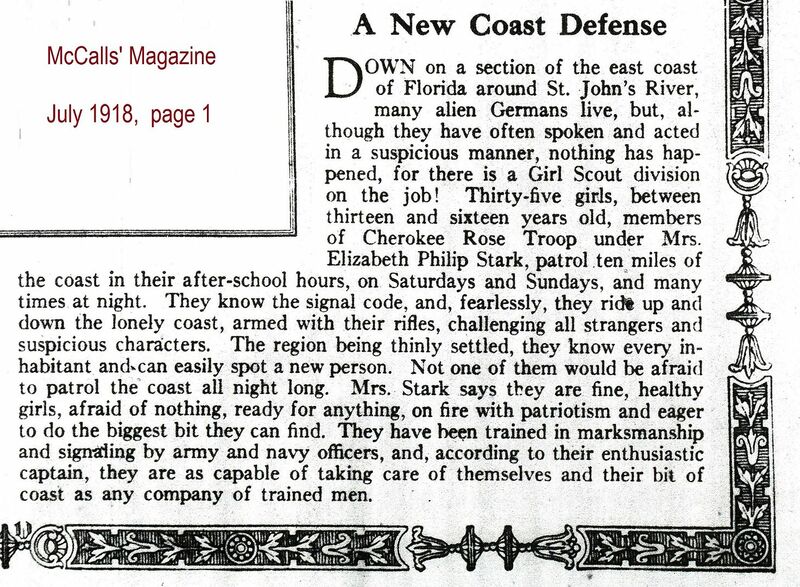 No profound and loquacious blogs today: Just a very cool advertisement from 1915. But what's really interesting is when you zoom in a bit on the prices. To read about the Aladdin Carnation (shown above on the left), click here. 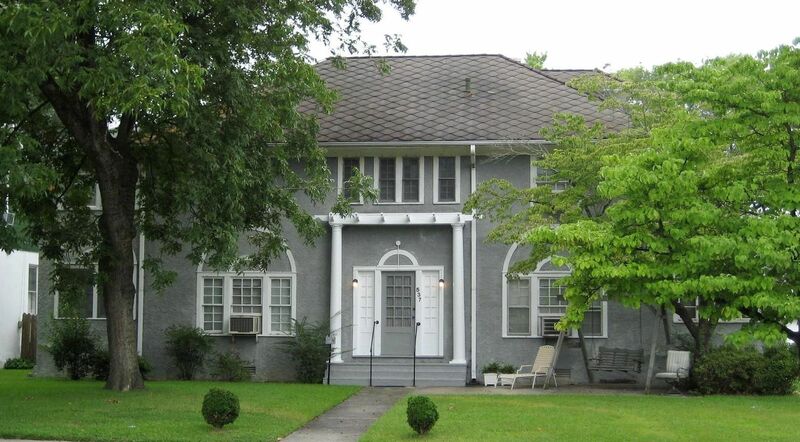 To learn more about the Aladdins in Roanoke Rapids, click here. 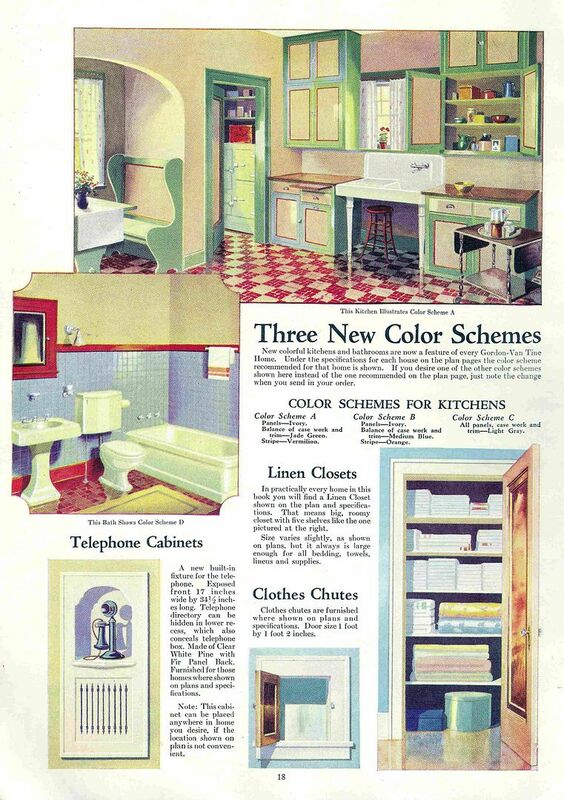 It was described as a “Modern convenience in a typically modern setting” (1928 Sears Modern Homes catalog). 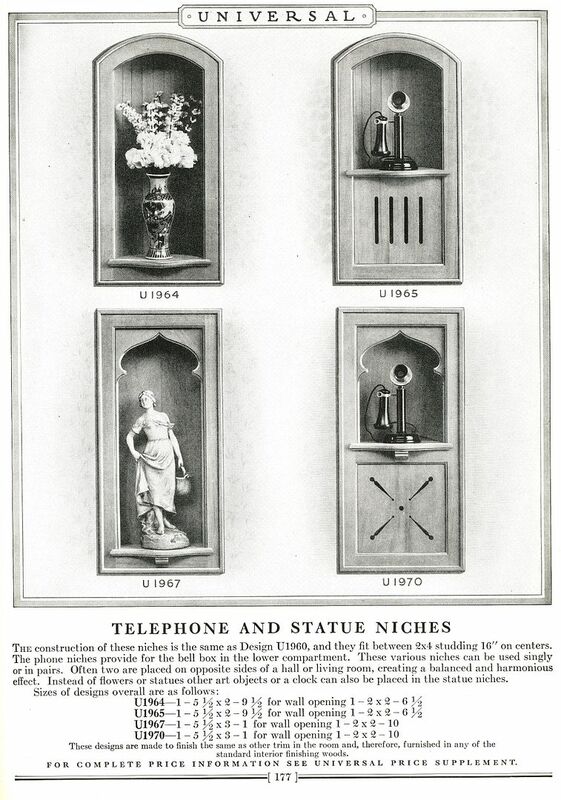 The telephone was patented in March 1876. 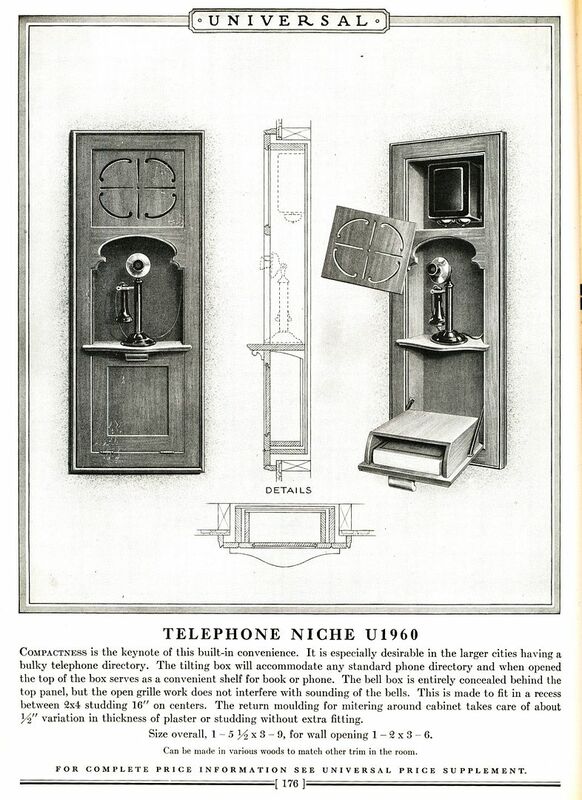 At the turn of the last century (1905), about 5% of U.S. households had a telephone. 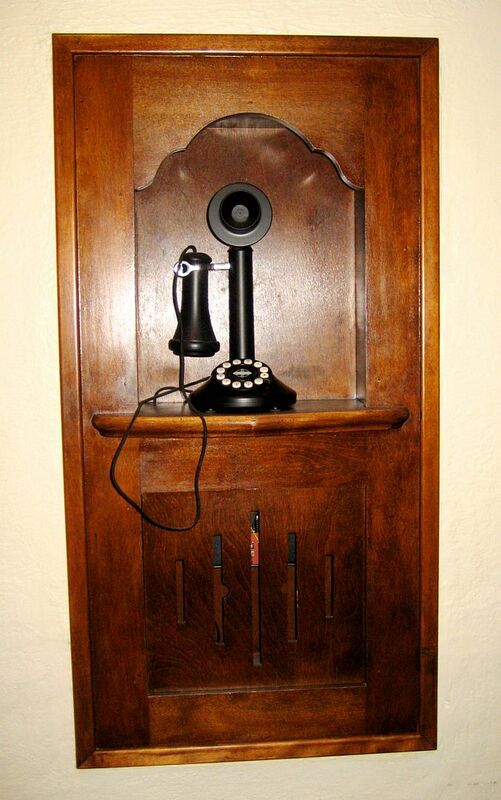 By 1930, more than 40% of American homes had Alexander Bell’s fancy new invention installed in their homes. 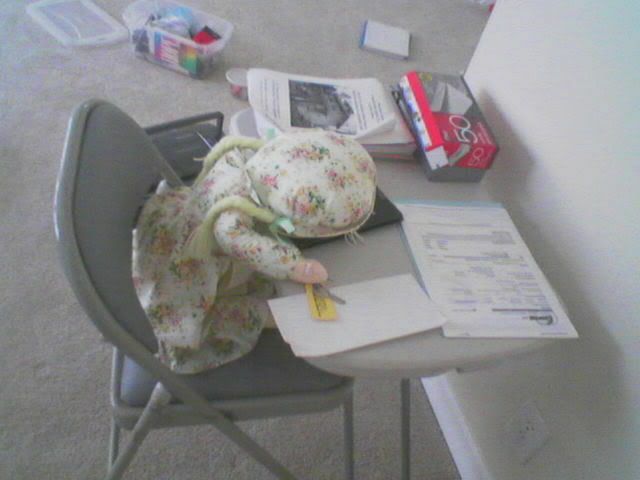 The new technology brought new housekeeping issues: All those wires were a bit of a mess. The phone niche solved that problem and made this wonderful new convenience even more convenient! Interested in building one for your own home? Check out the photos below, one of which provides detailed specs. And as always, if you enjoy the blog, please leave a comment! To read about Hospitality Seats, click here. To learn more about beautiful staircases, click here. 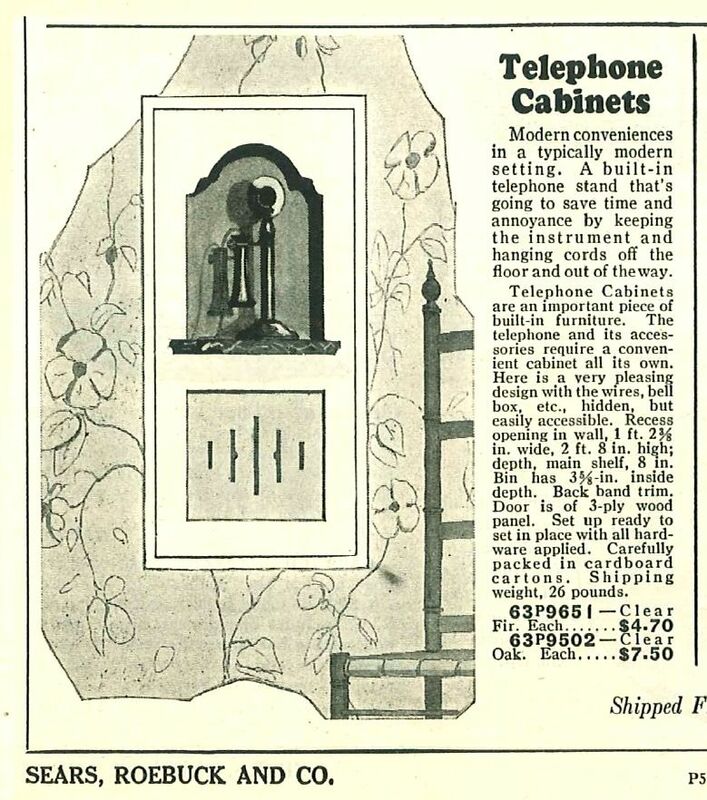 The 1929 Sears Building Materials catalog offered this phone niche for $4.70 (in Fir) or $7.50 (in Oak). Either way, it was a pretty sweet deal. However, that wallpaper looks ghastly. 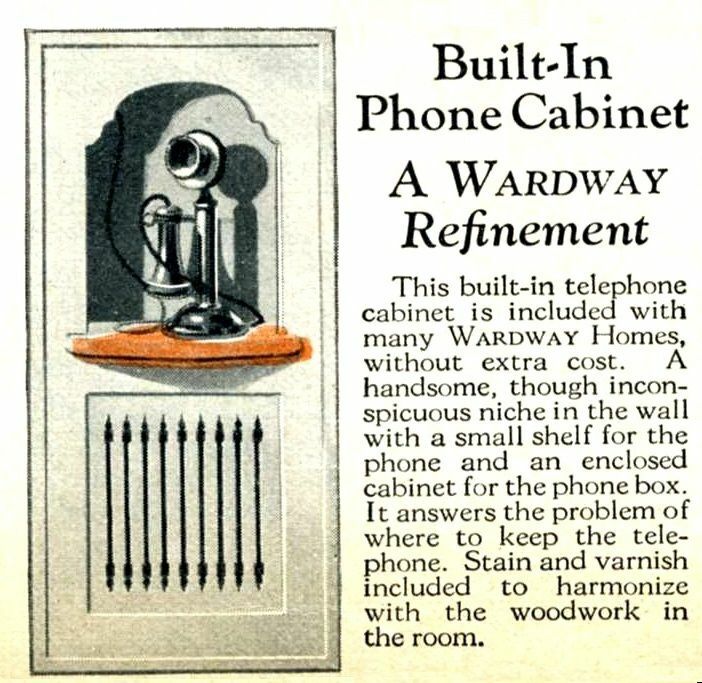 The Montgomery Ward catalog described their phone niche as "A Wardway Refinement" (1929). And it's included "without extra cost." 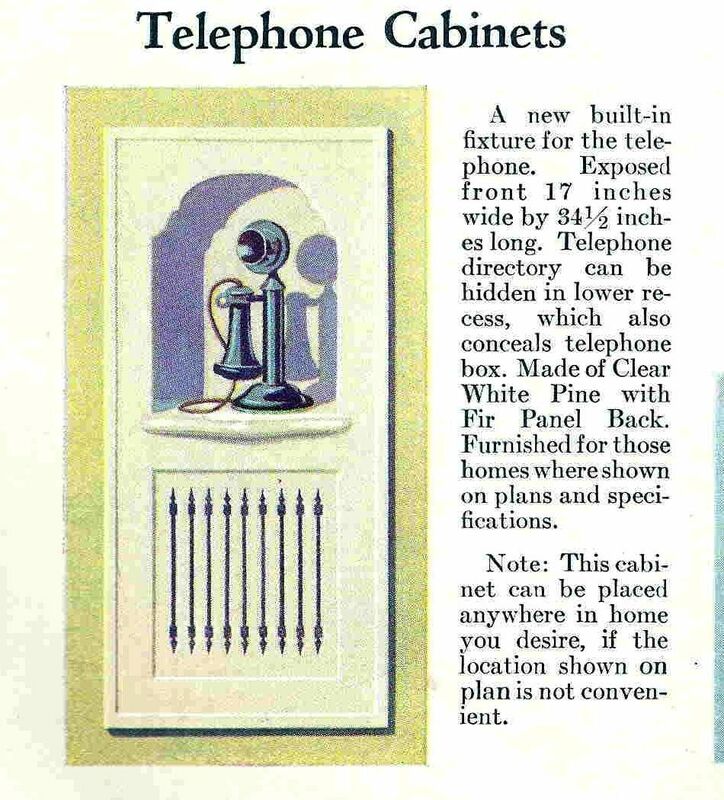 There's a reason that this image (from the Gordon Van Tine catalog) bears a stunning resemblance to the phone niche shown in the Wardway catalog. 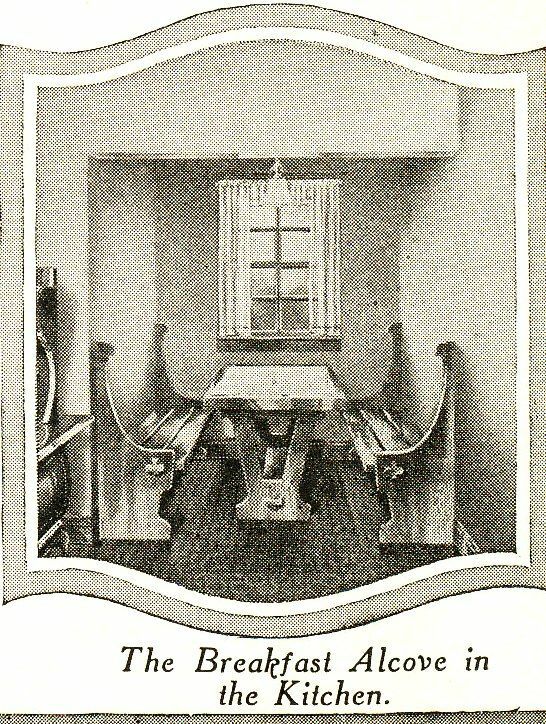 Gordon Van Tine printed the Wardway catalogs for Montgomery Ward and fulfilled their orders, too. At least they had the decency to change the words around a bit. 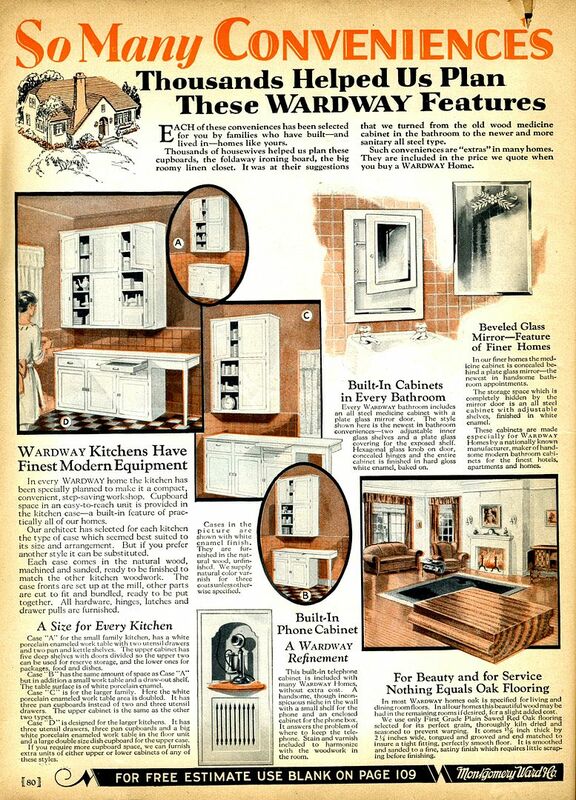 The niches above appeared in the 1927 Builders' Woodwork Catalog. Thanks to Bill Inge for sharing this wonderful old book with me. It's full of fun images, just like this! 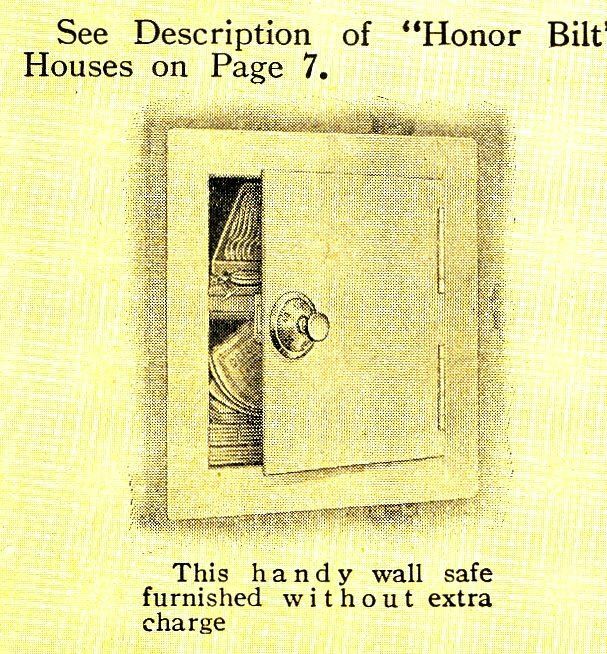 This image (also from the 1927 Builders' Woodwork catalog) shows some detail on how these niches were built. If you look at the box on the upper right, you'll see the "bell box" in the top. Back in the day, the ringers were not an integral part of the phone. 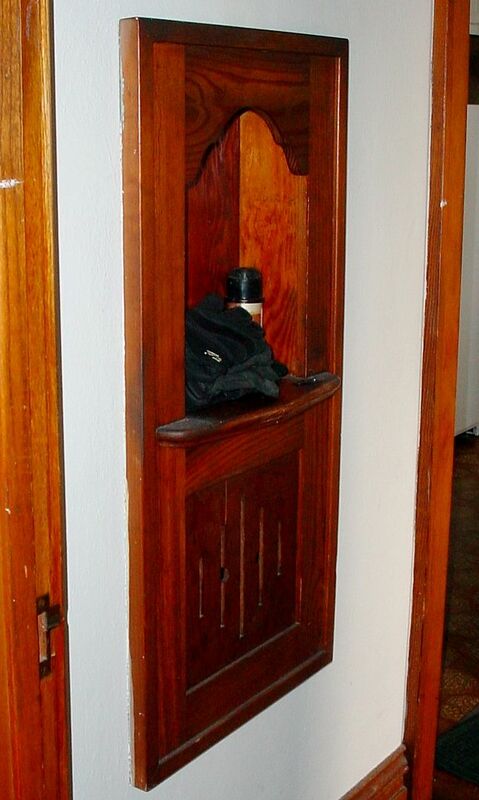 When we lived in Illinois, we had an early 20th Century home that had the two bells high on a kitchen wall. I imagine that it scared the housewife out of 20 years growth whenever those things clanged. 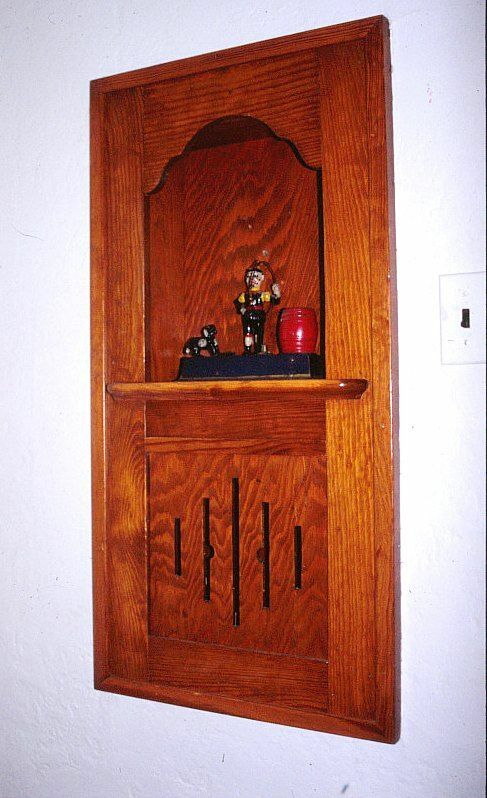 Close-up of the niche in the 1927 Builders' Woodwork catalog. The owner of this Sears Elmhurst (in St. Louis) went to great lengths to restore his phone niche. Often, these niches get turned into tchotchke shelves (as seen in a Sears Lynnhaven in Greenville, IL). To learn more about awesome built-ins, click here. To let Rose know that her life has meaning and purpose and that she should continue perusing old catalogs and old books for vintage images and fun stuff, please leave a comment below. Each day, about 1,000 people visit this site. That’s a bunch of people clicking on through. I’m living on love here, so every comment brightens my day and lightens my step and enlivens my soul. Kinda. And on a side note, I’d like to be part of the worldwide effort to educate the American public on the proper use of the word “peruse.” Surely, it must be one of the most-often misused words in the English language (and don’t call me “Shirley”). Most people use peruse to mean, browse, or scan or read quickly. In fact, it means the opposite. pe·ruse: pəˈro͞oz/ 1. to read [something], in a thorough or careful way. For about a dozen years, I lived in Alton, Illinois. In fact, that’s where I researched and wrote The Houses That Sears Built. Last week, I returned to Alton to visit family. Of course, I couldn’t resist driving around my old stomping grounds a bit and looking at the old houses. I left the area in Spring 2006. Since then, I’ve acquired many “new” old catalogs and learned a great deal. While in the Riverbend area last week, I made many “fresh” discoveries. 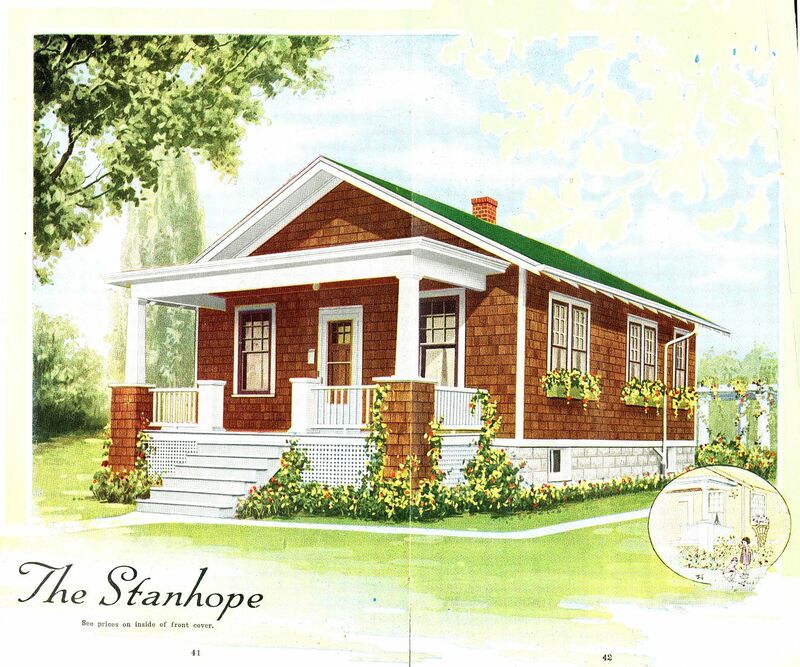 Sterling was based in Bay City, Michigan, and was one of six national companies that sold kit homes in the early 20th Century through mail-order catalogs. 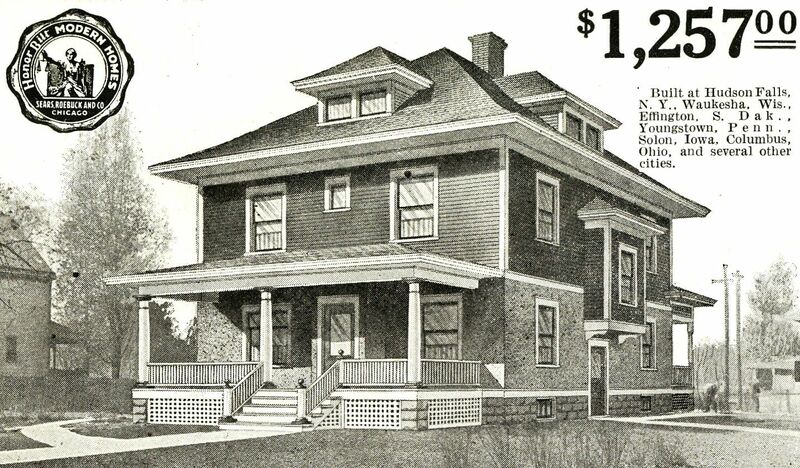 Thanks to Rachel Shoemaker for providing me with the scanned images from the 1917 Sterling Homes catalog! 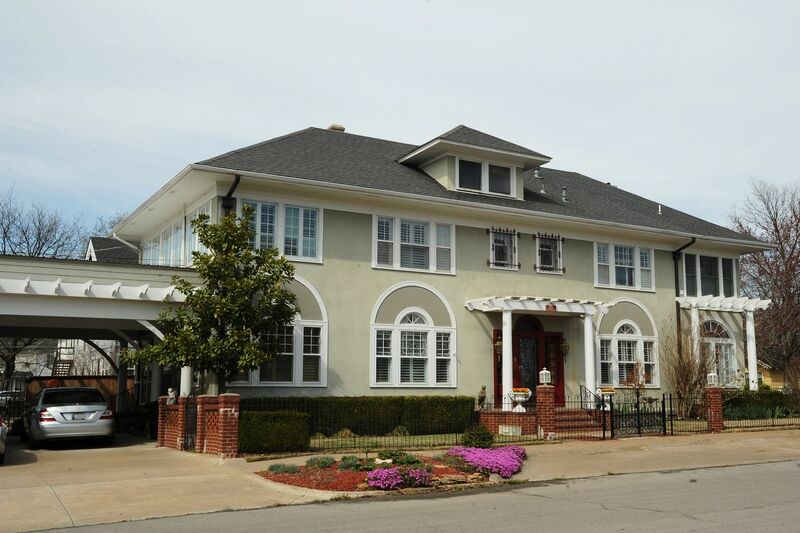 Learn more about the history of Sterling Homes by clicking here. 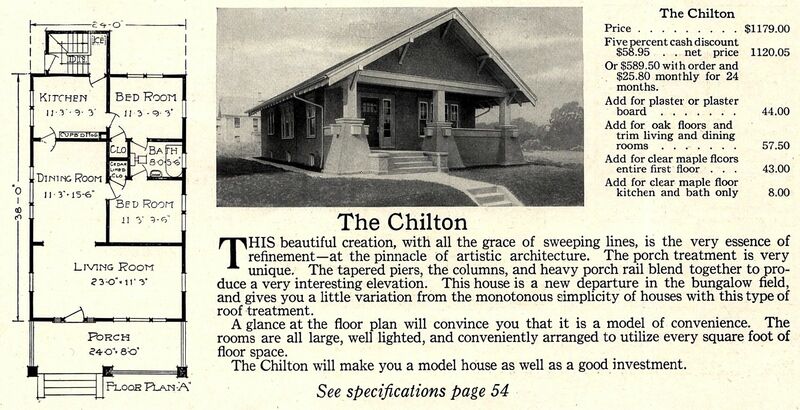 The Sterling Chilton, from the 1917 Sterling Homes catalog. 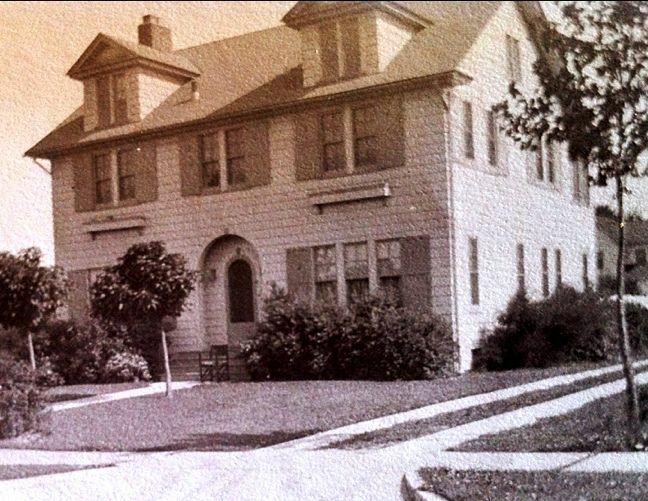 Sterling Homes was based in Bay City, Michigan. 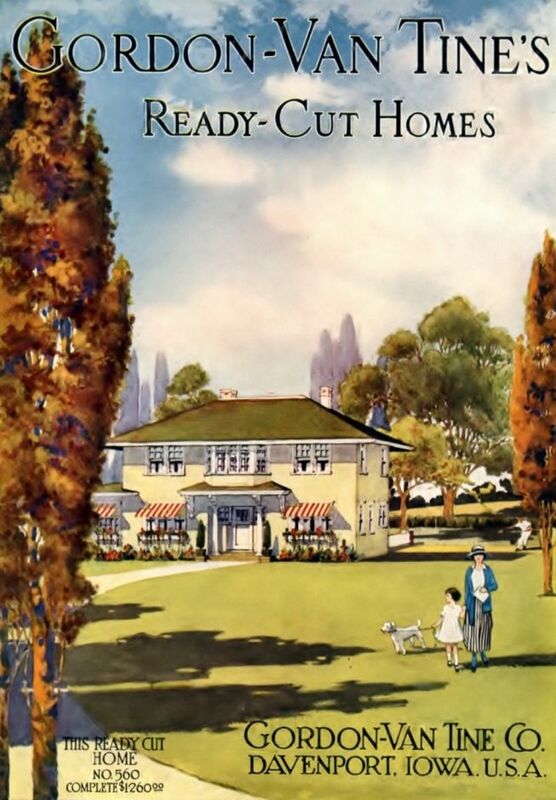 During their 59 years in business, they sold about 45,000 pre-cut kit homes. 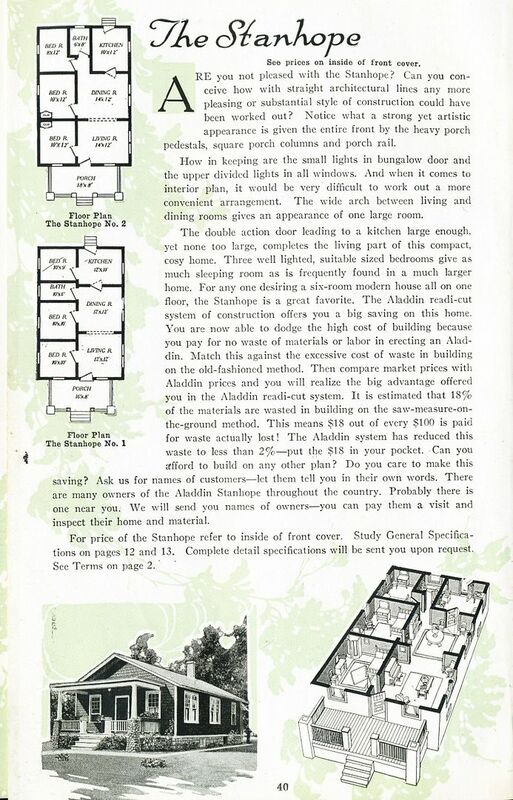 Shown here is the cover of the 1916 Sterling Homes catalog. I just love these graphics. And notice the political commentary that was written in by some anonymous soul. Charles Evans Hughes ran against Woodrow Wilson in 1916. He put in a good showing and lost by a mere 594,000 votes. 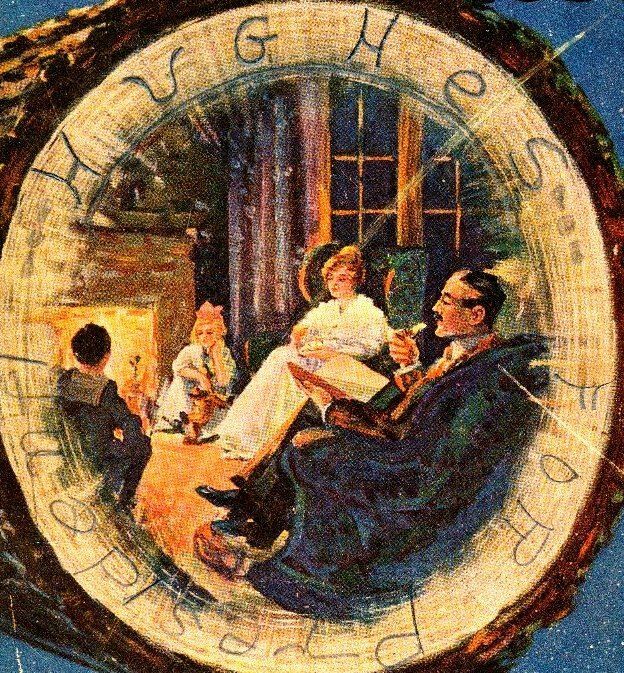 If Hughes had won California, we wouldn't have nearly so many high schools named after Woodrow Wilson. 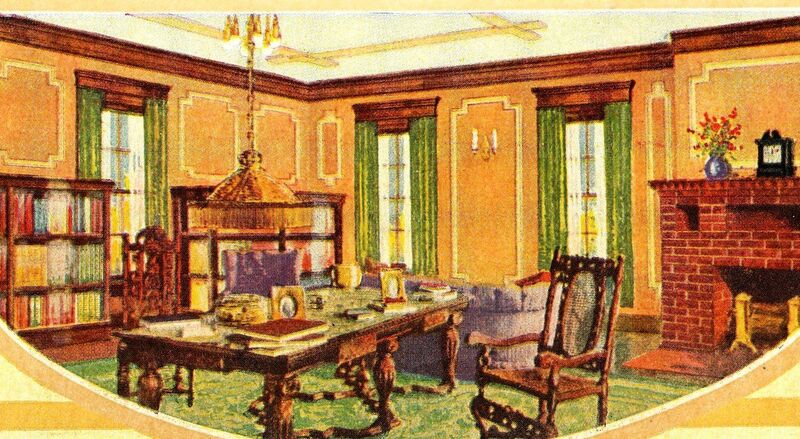 The Chilton had an oversized living room and dining room, and two small bedrooms, one of which had a cedar closet. Notice the "Jack and Jill" bathroom. The base of the columns on that Chilton are what make it really stand out! There's been some debate in our Facebook group as to the purpose of those projections on those stuccoed columns. Rachel suggested it was to have a safe place for your beer while you were out mowing the yard. Sounds pretty smart to me. 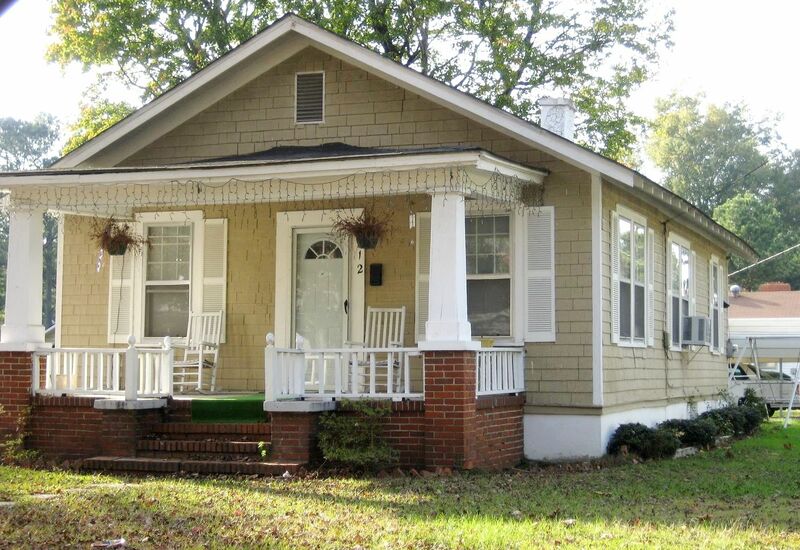 While not a spot-on match to the catalog image, I am confident that this house in Wood River is a Sterling Chilton. The front door is easy enough to move, and this is a common alteration. Plus, the house has replacement windows, aluminum siding (ick) and aluminum trim (sigh), so it's possible that it's been subjected to many "improvements." View from the other side. 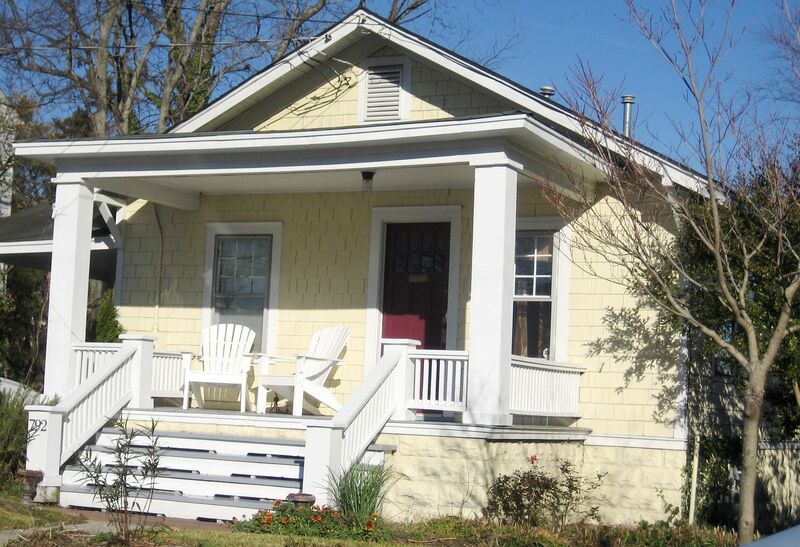 Three windows have been added to the front gable, but the rest of the details on the home's front are very good, including the five brackets and their placement, the broad piece of fascia across the front and the size and shape of the porch wall. 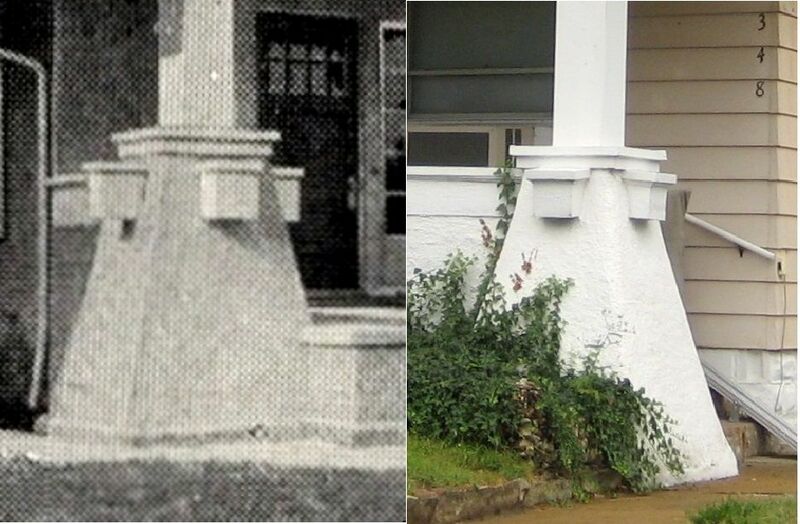 While the house in Wood River has a few details that are a bit off, this column is a spot-on match, and it's such a unique architectural feature, that I'm willing to bet money that this is indeed the Sterling Chilton. The reason for my return to the St. Louis area: My daughter will soon be married to this fine gent. 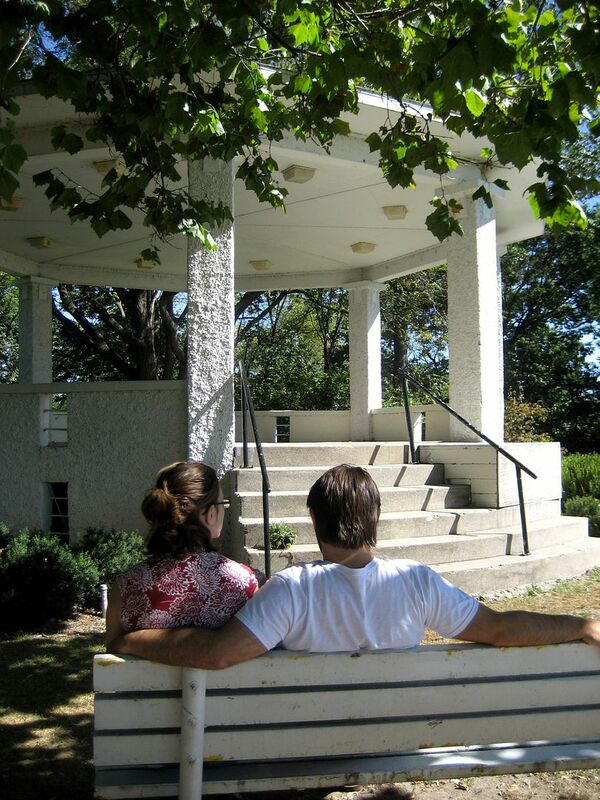 They're sitting in front of the gazebo, gazing at the very spot where their wedding will take place. 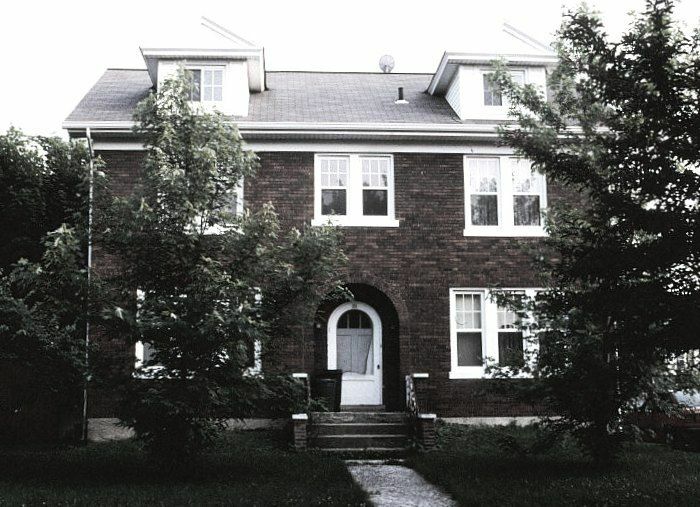 As a final note, sometime in 1999, my (then) husband and I went to an open house in Upper Alton, IL (near Edwards Street) where we saw this house for sale. 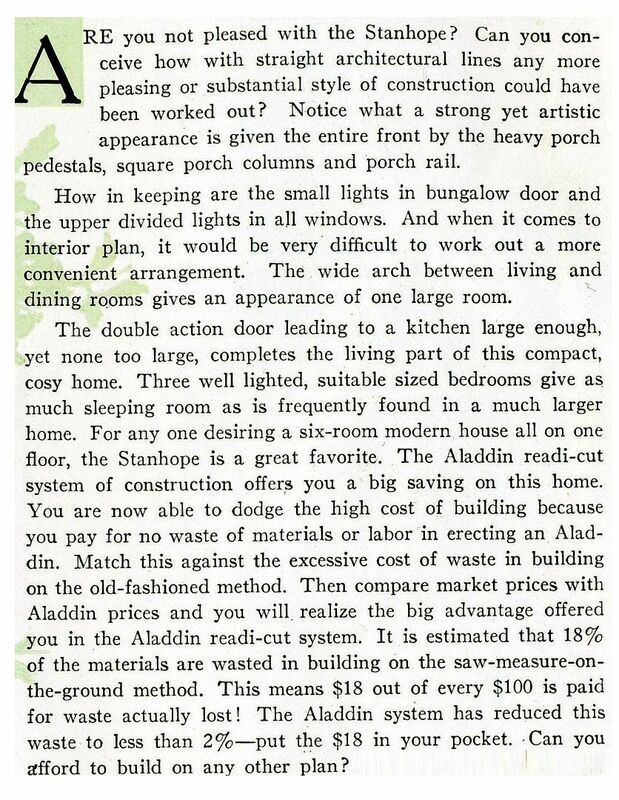 Last month, I was looking through the 1953 Aladdin catalog and re-discovered this house. 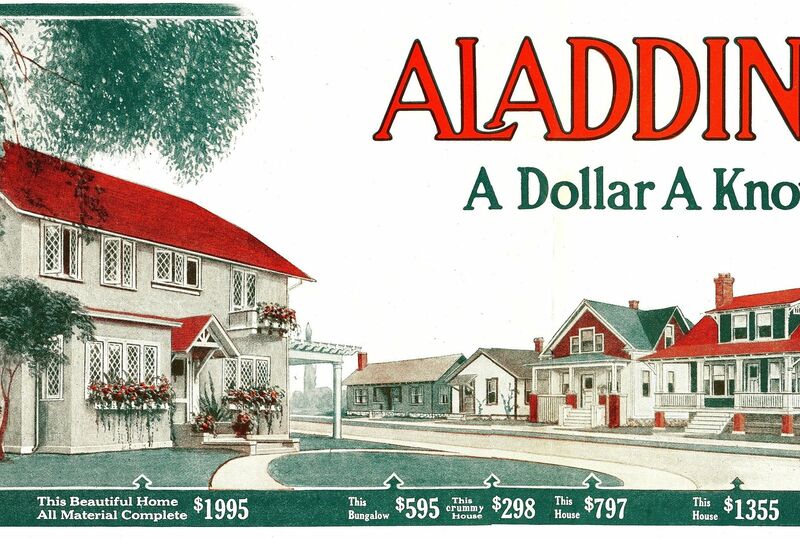 It's an Aladdin Magnolia, and as soon as I saw the image, I remembered seeing this very same house in 1999. When I was in Alton last week, I drove more than 80 miles, criss-crossing every street in the city, looking for this house but could not find it. 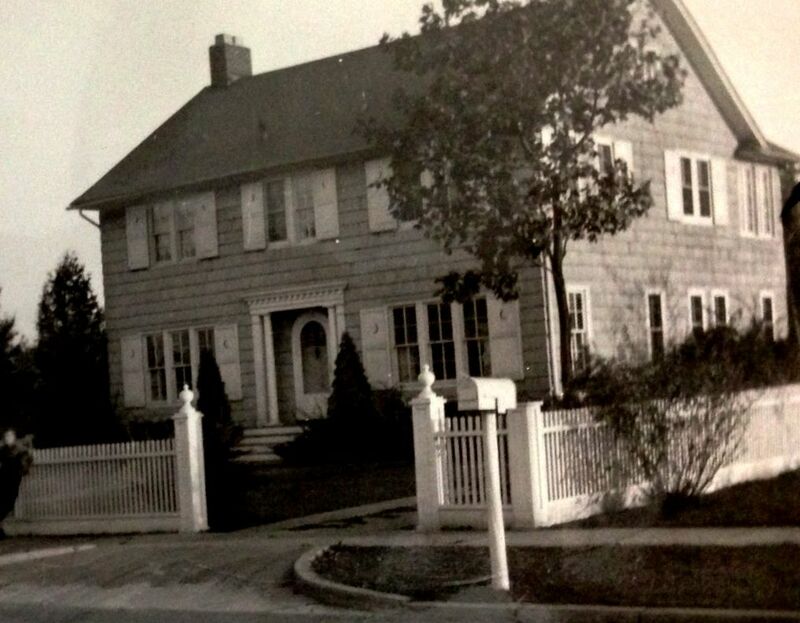 If you know where this house is, please leave a comment below. I'll be returning to Alton later for my daughter's wedding and would love to get a photo of this house. Thanks!! To join our “Sears Homes” group on Facebook, click here. To read more about the Aladdin Magnolia, click here. If you know where that Aladdin Magnolia is, please leave a comment below! And please share this link with your Riverbend Friends! Several days ago, I wrote a blog about an old Gordon Van Tine “Roberts” somewhere in Wheeling, West Virginia. 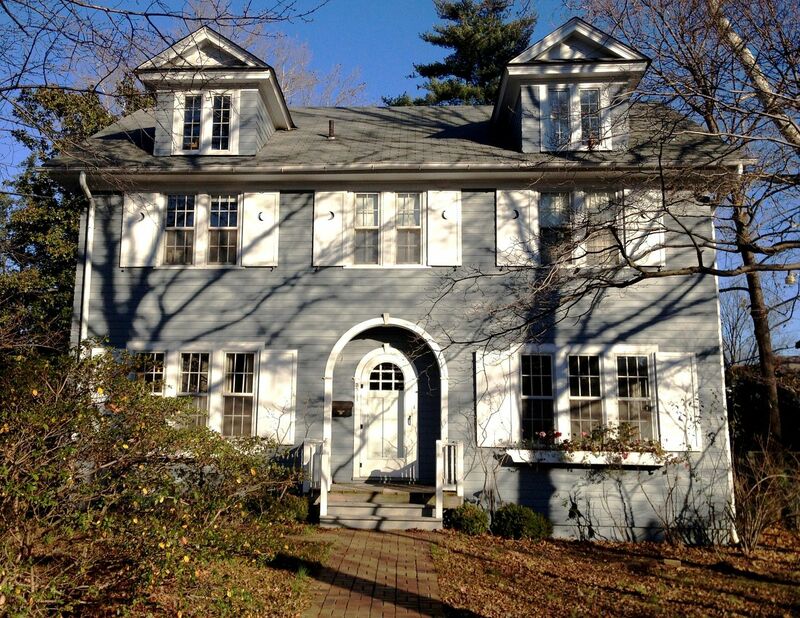 The house was built in the 1920s by a fellow named Otto Friebertshauser. 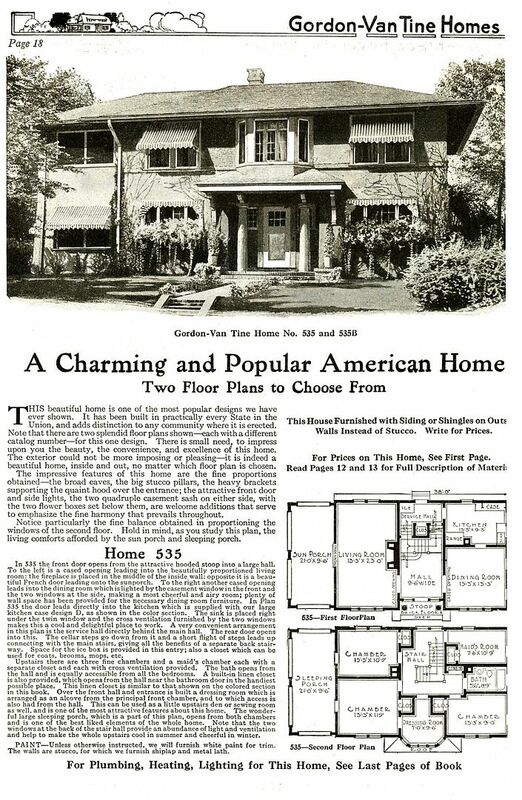 I found out about this house when I obtained a copy of Gordon Van Tine’s promotional booklet, “The Proof of the Pudding” (1927), a collection of testimonials from happy homeowners. 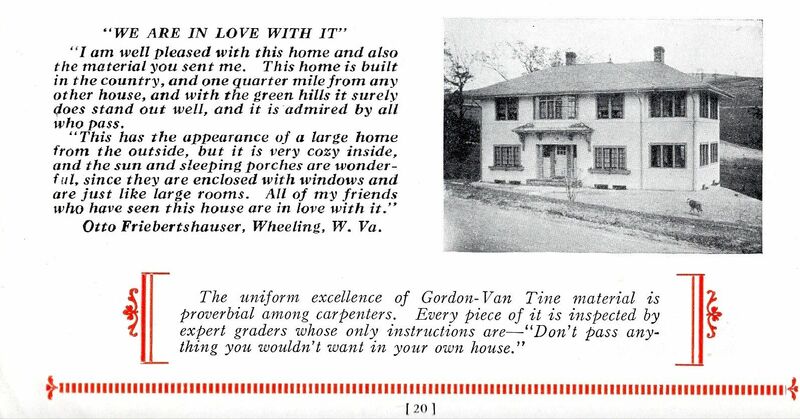 It was a beautiful house and a well-written testimonial but no mention of where in Wheeling this house was built! Almost 90 years had passed since Otto turned that 12,000-piece kit into a spacious home. Had the house been torn down? Was it still alive? And if it was still alive, was it still well? Too many times to count, I’ve written and published such blogs, only to find that the subject house had subsequently been destroyed and/or was in pitiable shape and/or had been cut up into several apartments. After the blog was finished, I sent a link to Jeremy Morris, Executive Director of the Wheeling National Heritage Area Corporation. In less than a day, Jeremy wrote back, saying that he’d found the house. And not only had Jeremy found the house, but he’d talked with the owners and he got me a photo of the house! 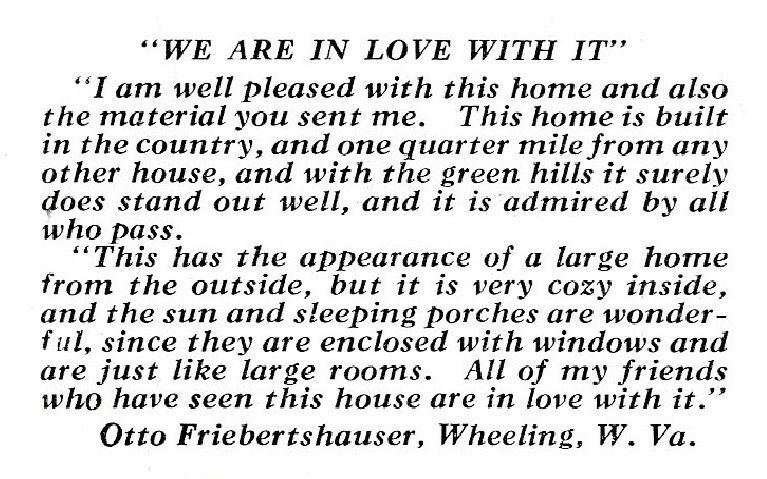 The owners and I were soon in contact, and I’m delighted to report that they love this house just as much as Otto Friebertshauser did. In fact, they’ve done an exemplary job of restoring it to its former grandeur. 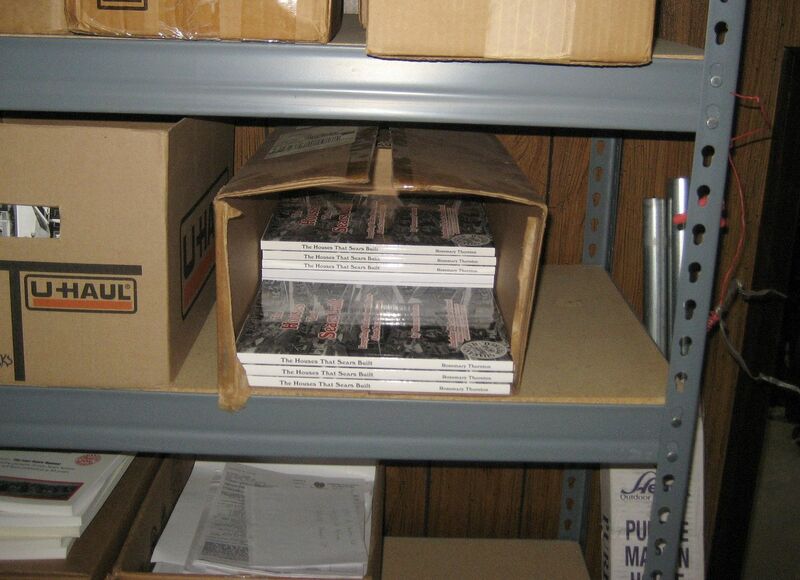 And they did not realize it was a kit house (as is the case about 90% of the time). Thanks so much to the Wheeling National Heritage Area Corporation and to Jeremy Morris (Executive Director) for going out and searching for this house, and thanks to the home’s current owners for doing such a first-class job of preserving this fine old house. As mentioned in the previous blog, Wheeling is apparently awash in kit homes, and I’ve already spotted a PERFECT Sears Crescent on National Street, almost across the road from the Dairy Queen. I’d be ever so grateful if some good soul could snap a photo of that house for me! 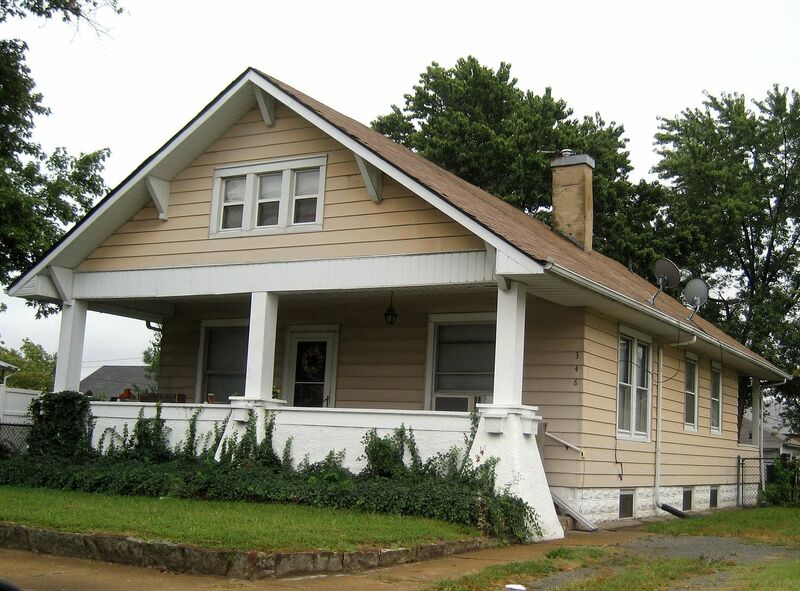 Click here to see the other kit homes I saw in Wheeling, WV. To learn more about Gordon Van Tine, visit my buddy Dale’s website, devoted to Gordon Van Tine homes. I’d love to come out to Wheeling soon and do a proper survey and give a talk. Please leave a comment below to contact Rose and let’s figure out how to make it so! 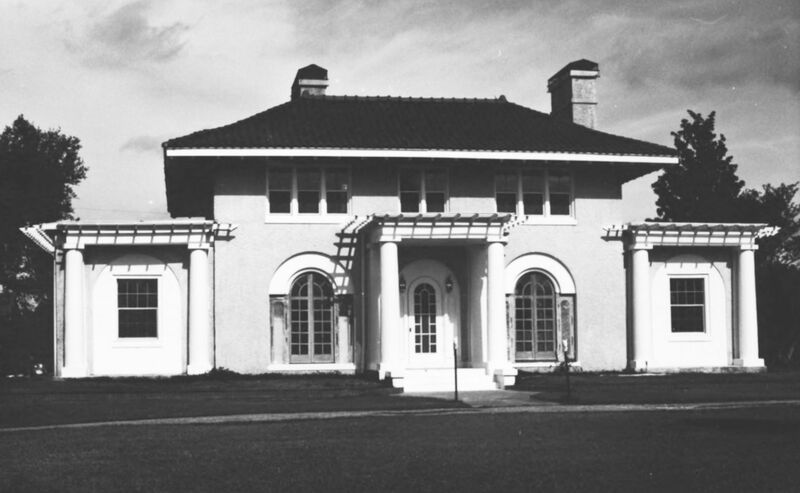 In the 1927 promotional brochure, Otto Friebertshauser wrote, "All of my friends who have seen this house are in love with it." Otto even included a snapshot of his home. 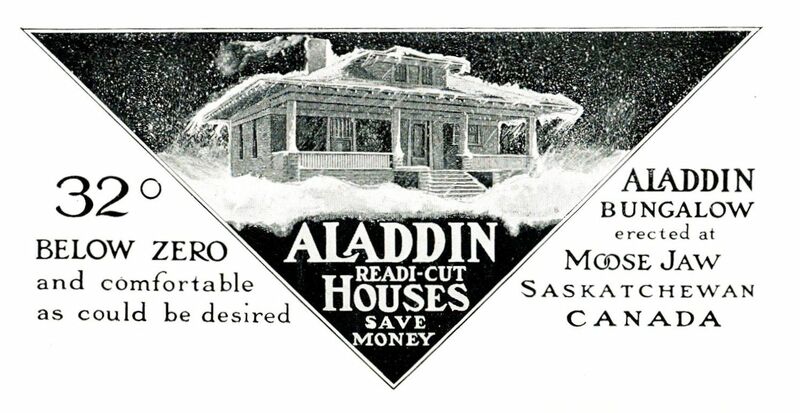 Close-up of the text that appeared in the 1927 brochure. 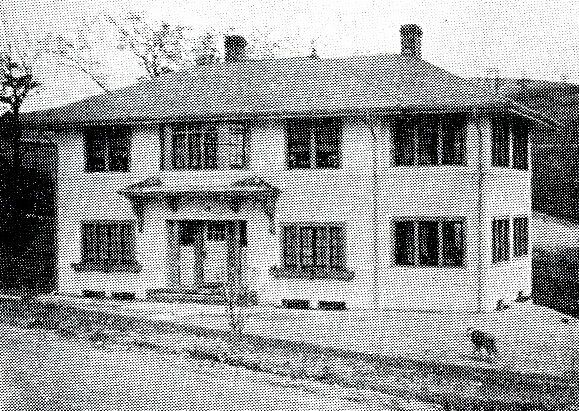 Otto's home as seen in the 1920s. 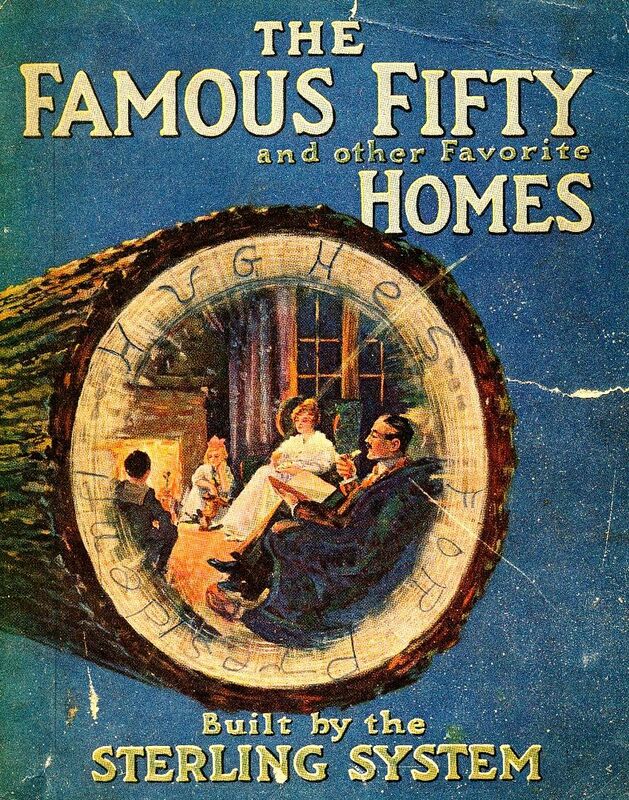 In 1916, the "Roberts" (Otto's house) appeared on the cover. Close-up of that pretty, pretty house. 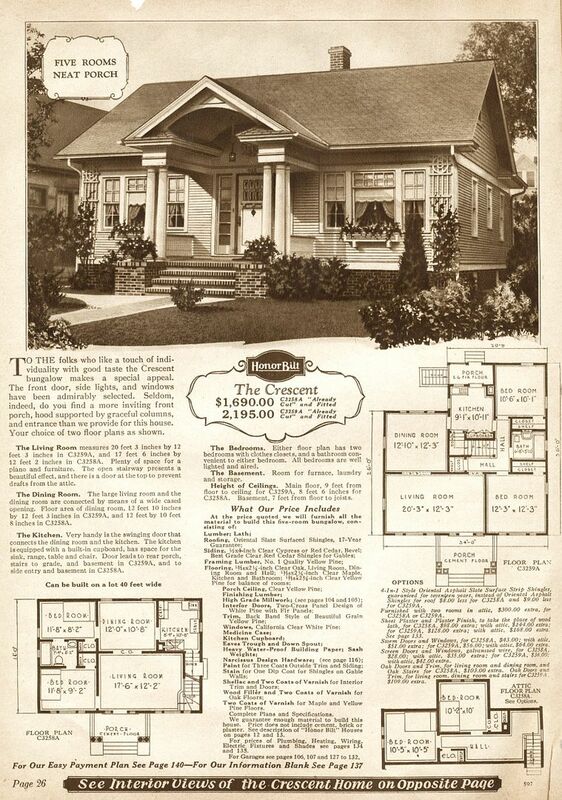 The original catalog page showing "The Roberts" (1924). According to this text, there's a Roberts in every state in the US. As kit homes go, this one was unusually spacious. 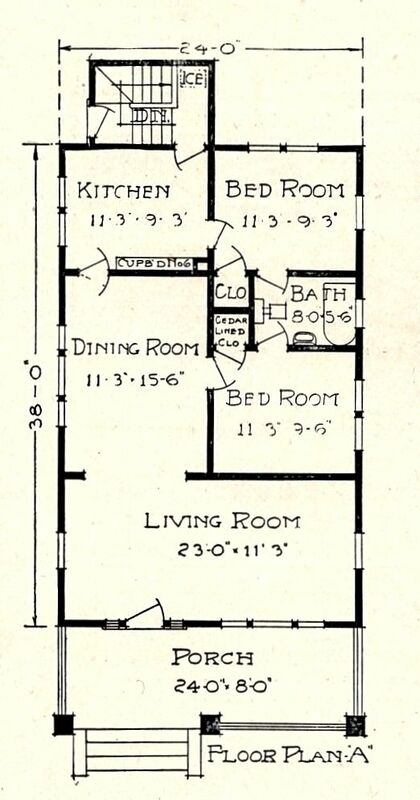 A small room upstairs was devoted to space for the live-in maid! 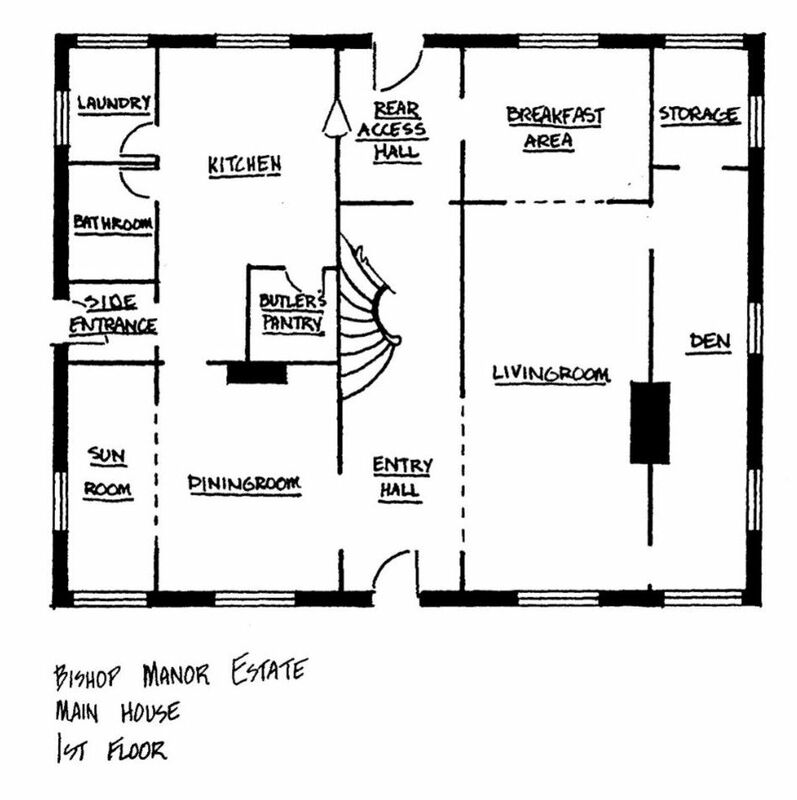 And that dressing room doesn't make much sense, as it was accessible only through the main hallway. Ah, but here's the most interesting photo of all. This is the Roberts in Wheeling, then and now. Photo (on left) is copyright 2013 Wheeling National Heritage Area Corporation and may not be used or reproduced without written permission. Photo on right was taken by Otto Freibertshauser, and it's also a dandy photo. Otto would be so pleased to see his house today! What a breath-taking beauty and it's been lovingly and thoughtfully maintained. And perhaps best of all, the original windows are still in place. Photo is copyright 2013 Wheeling National Heritage Area Corporation and may not be used or reproduced without written permission. 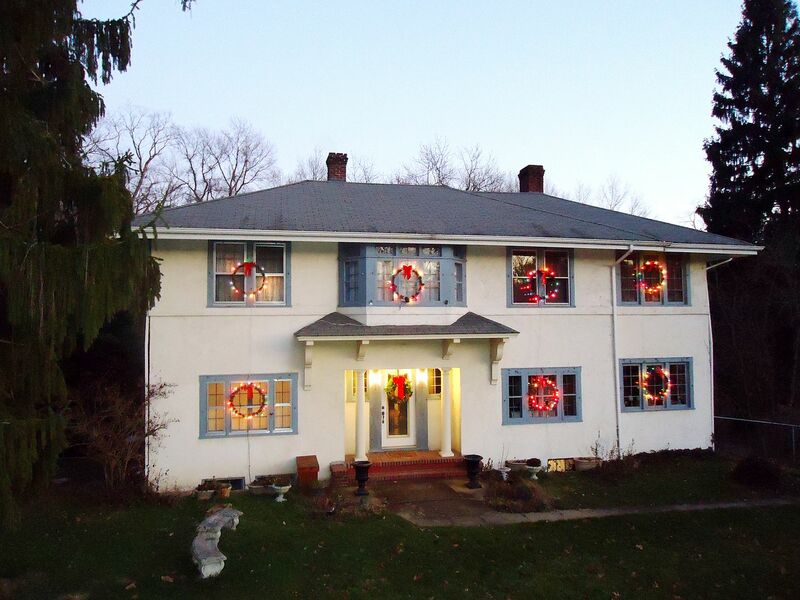 Otto's house dressed up for Christmas! Now this belongs on the cover of a Christmas card! Photo is copyright 2012 Frank Harrar and may not be used or reproduced without written permission. 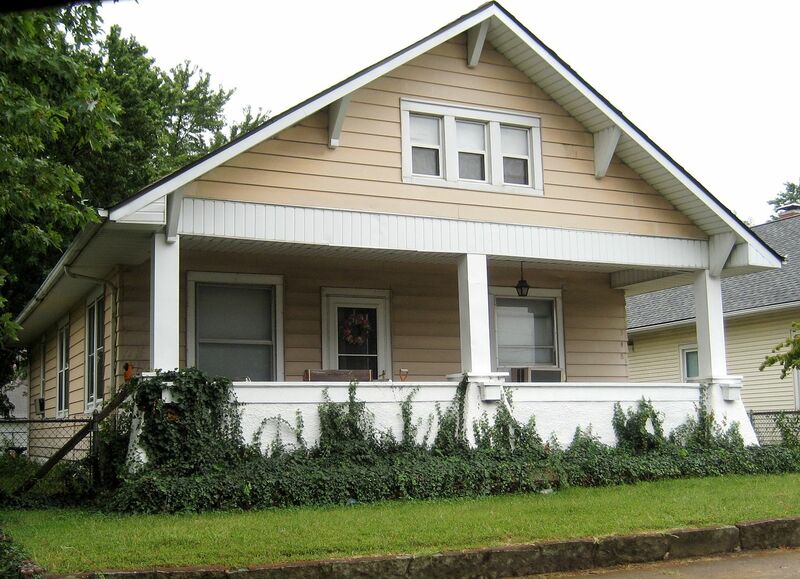 To learn more about the kit homes I’ve found in Wheeling, click here. Can you snap a photo of that Crescent and send it to me? Please leave a comment below and I’ll contact you. 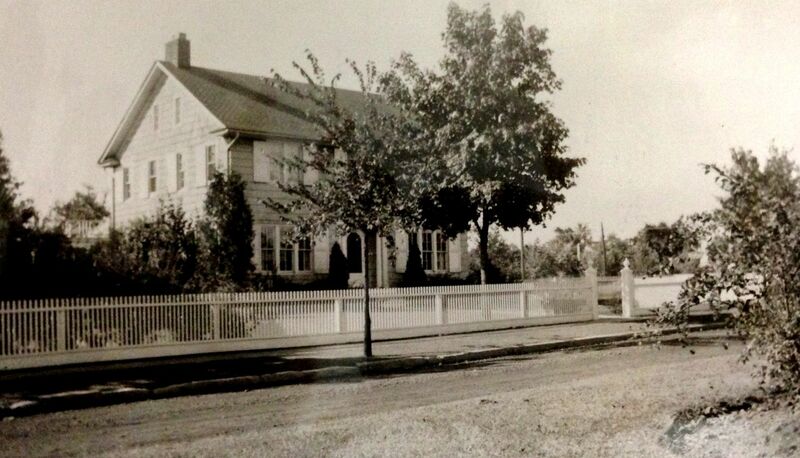 Here's a photo of the Sears Crescent (1928). The one in Wheeling is way up on a hill, across the street from the Dairy Queen. I found it while "driving" via Google Maps. 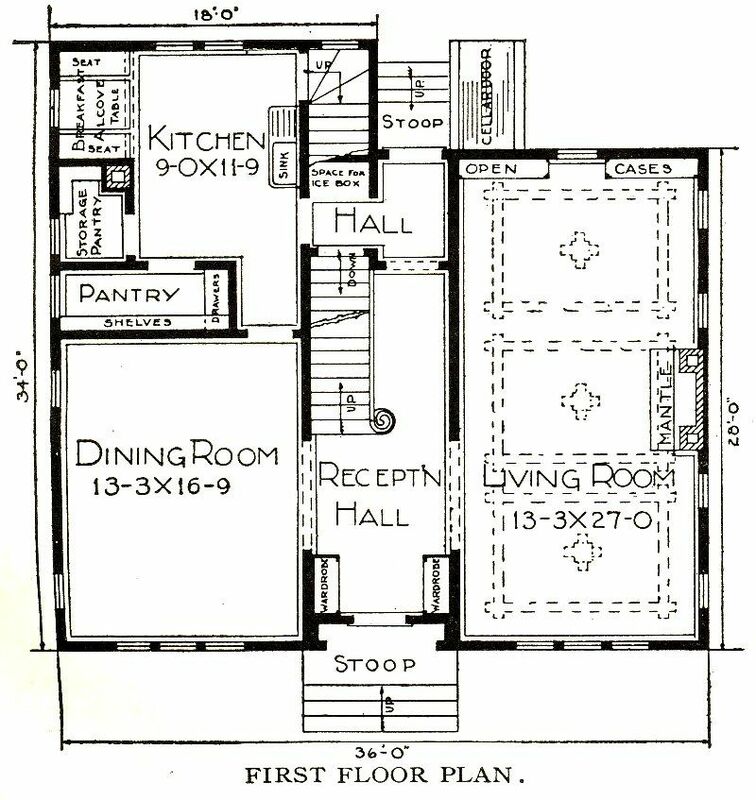 The Chelsea (Modern Home #111) was first offered in the 1908 Sears Modern Homes catalog. 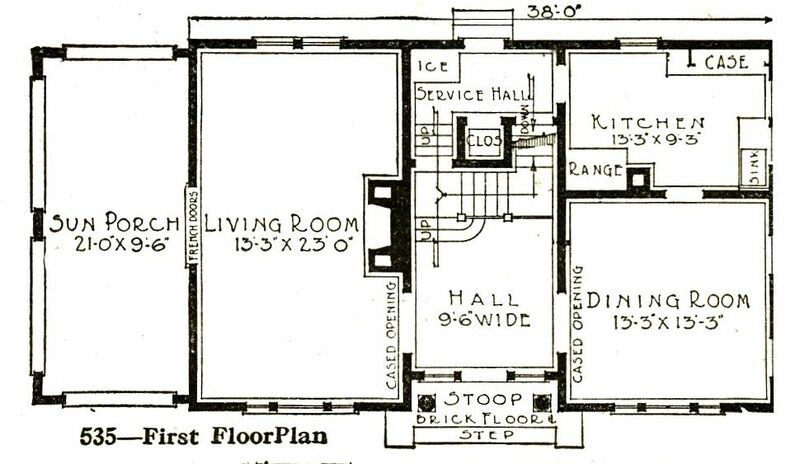 This spacious foursquare endured until the early 1920s, when the more modern Colonial Revivals and Tudor Revivals bumped it out of the catalogs. 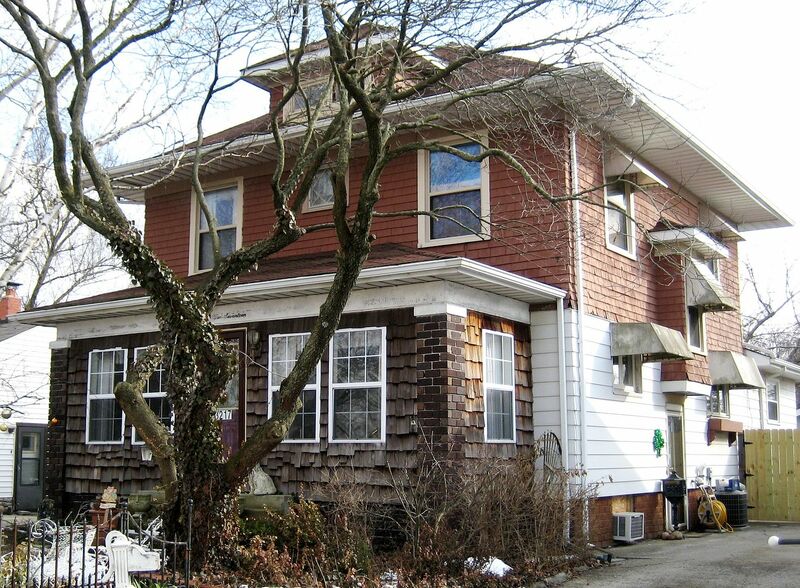 As is seen by the photos below, Modern Home #111 changed a bit as the years rolled by. In my travels, I’ve found only two examples of this house. 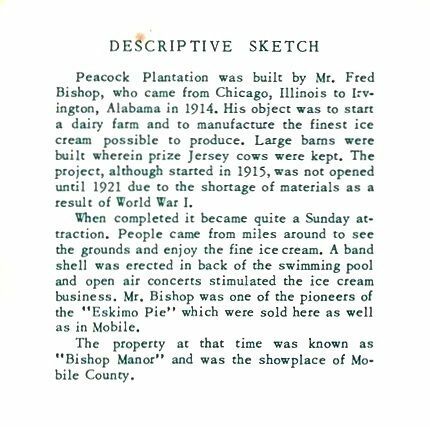 The first was in Mattoon, Illinois (Central Illinois) and Colonial Heights, Virginia (near Richmond). And yet I see there’s also one in Waukesha, Wisconsin. Anyone in Wisconsin willing to get a photo? 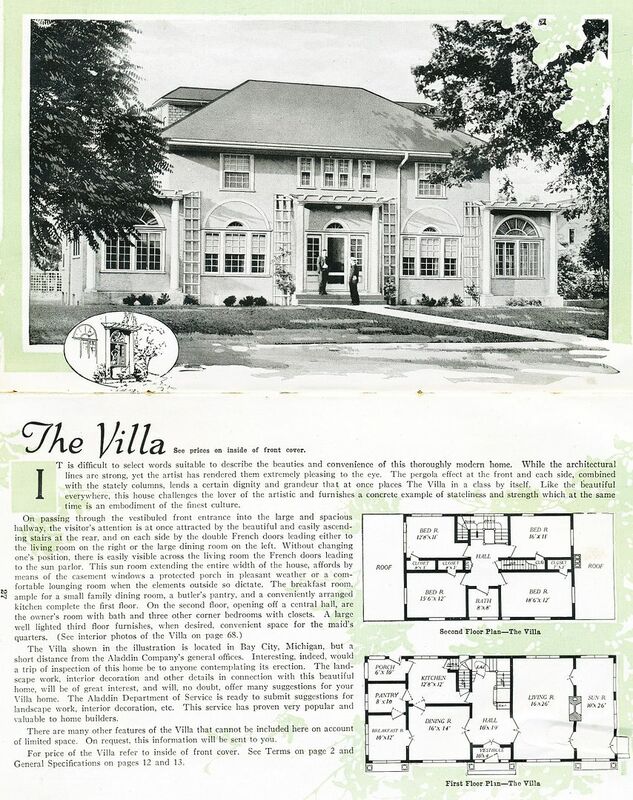 To learn more about the Sears Homes in Wisconsin, click here. 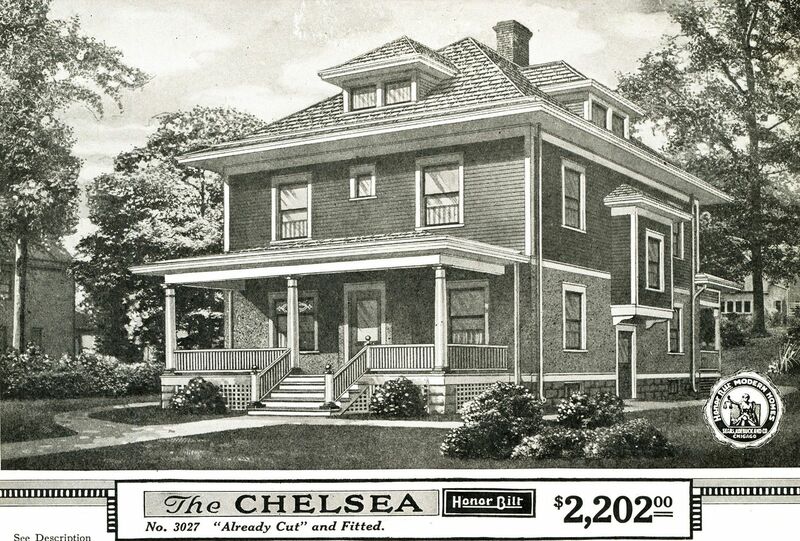 The Sears Chelsea appeared in the first Modern Homes catalog (1908). 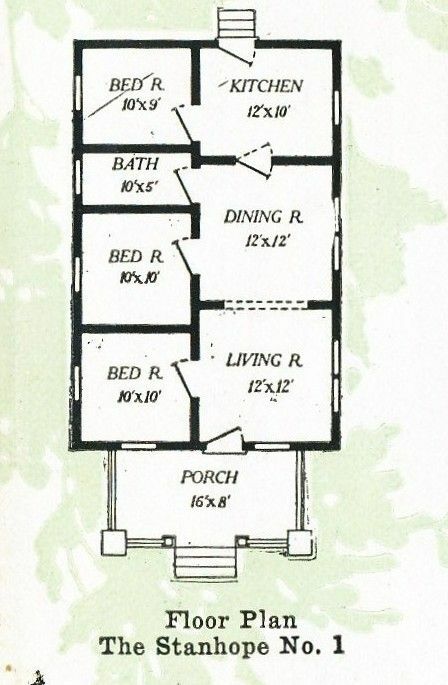 In the floorplan for the 1908 "Chelsea," the bathroom was an optional upgrade. By 1916, the price had dropped by almost half. 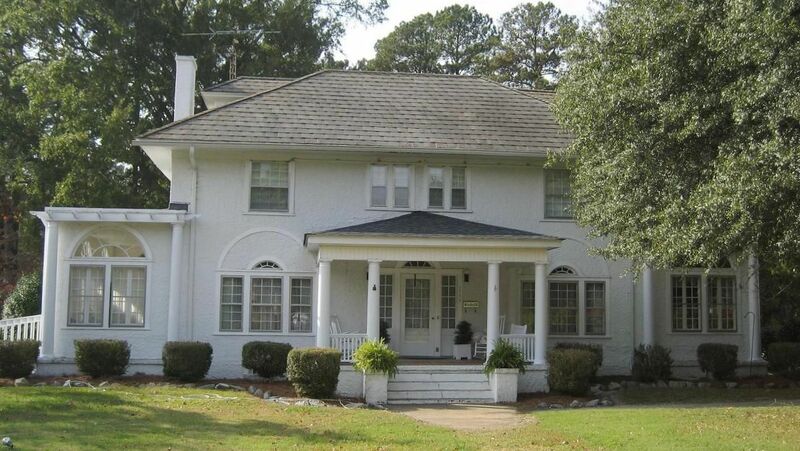 It was not offered as a pre-cut home until late 1917. 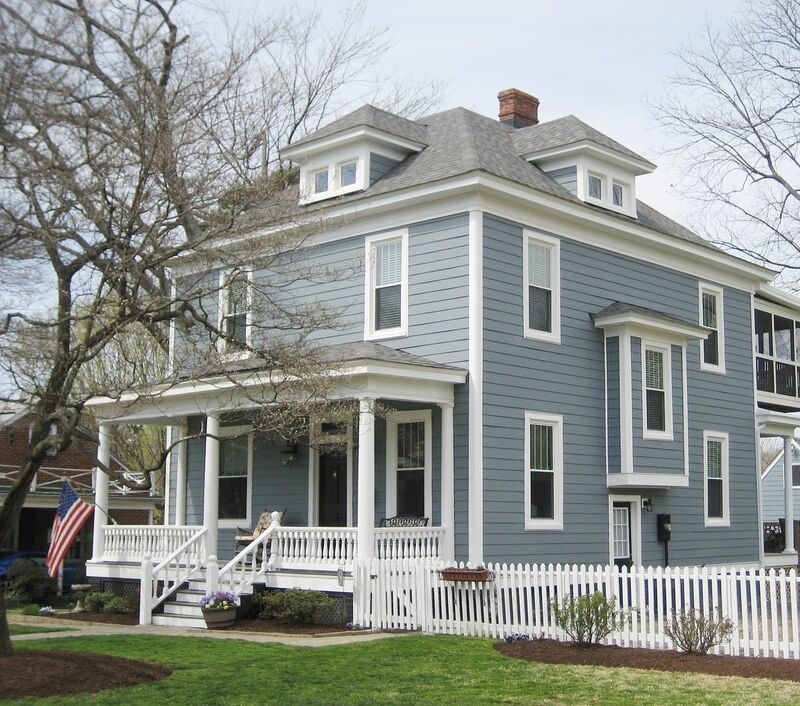 Notice that the house now has a slightly different appearance with that center closet window (front), broader windows and more substantial woodwork around the front porch. By 1919, the price was back to 1908 levels. This was probably due to some post-war inflation. In 1919, the Chelsea was offered as a pre-cut kit home. 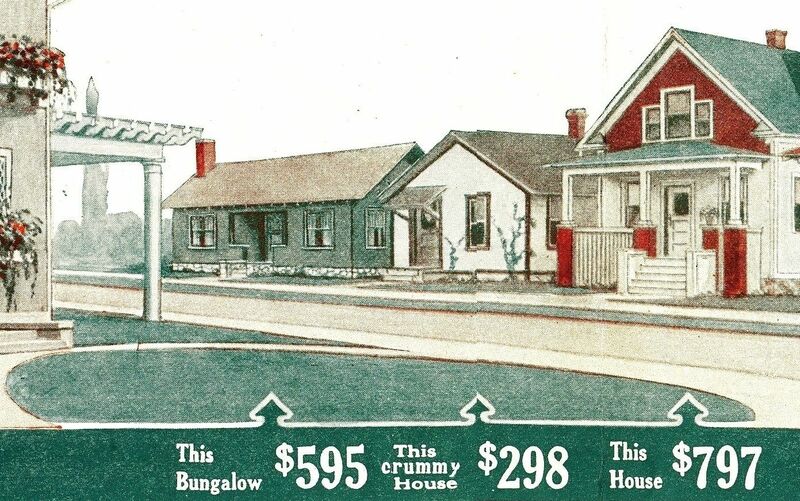 This testimonial (and photo) appeared on the back cover of the 1916 Sears Modern Homes catalog. 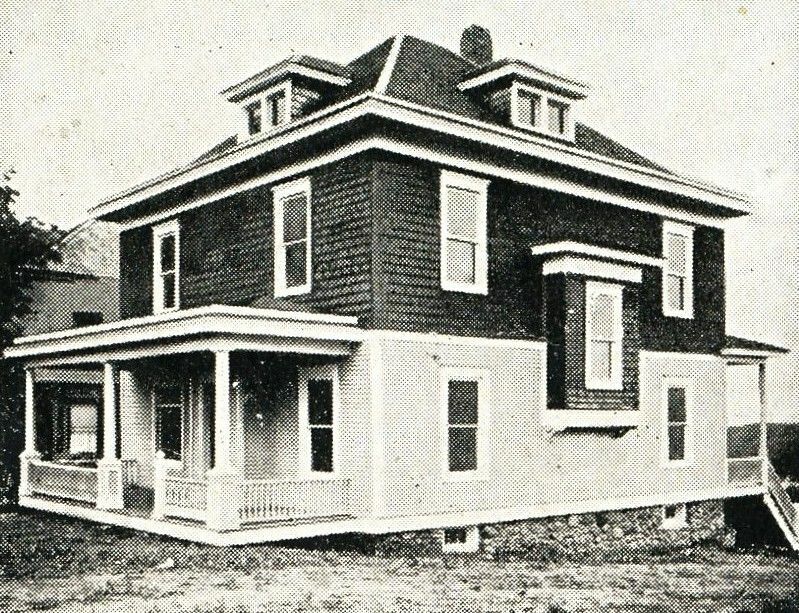 The porch columns and lack of a closet window suggest it was the earlier (1908) model Chelsea. 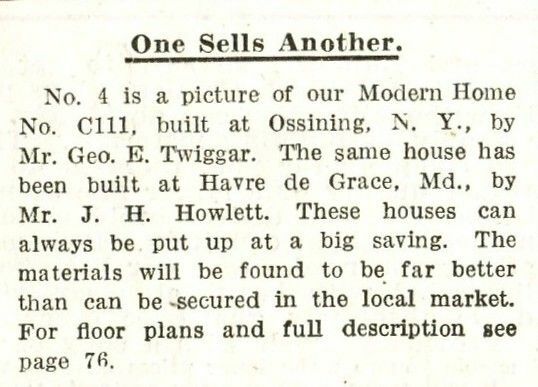 The accompanying testimonial explains that the house was built in Ossining, NY. Here's a picture-perfect Chelsea in Colonial Heights, VA. The owner has done a thorough, meticulous and painstakingly perfect job of restoring this 100+ year old house to its original grandeur. 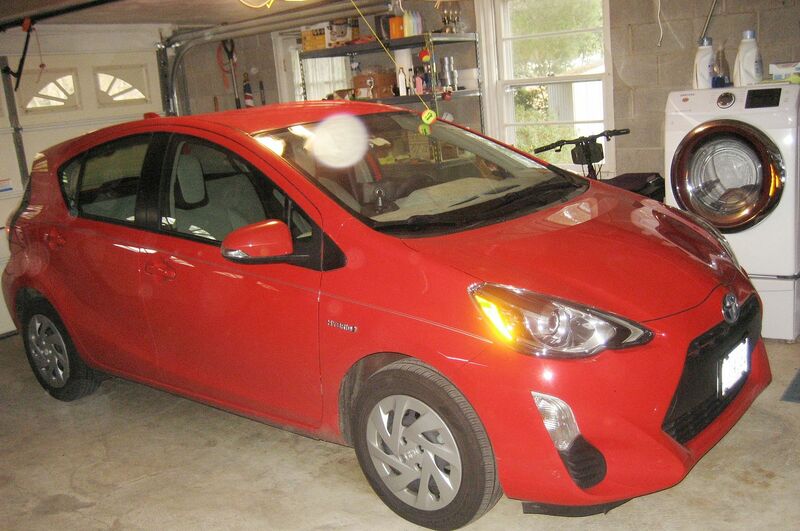 This later-model Chelsea is in Mattoon, IL. Lots of sidings there. A comparison of the Chelsea in New York (1916) and the Chelsea in Virginia (2010). 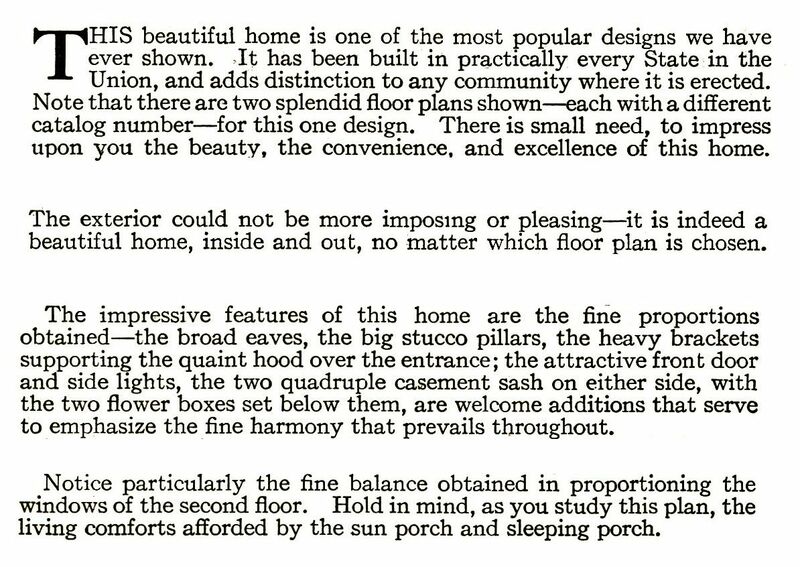 “Houses By Mail” (published 1985) is a wonderful field guide for those seeking more information on the 370 models of Sears kit homes that were offered from 1908 - 1940. The book contains some factual errors, but it’s still one of my favorites and has a cherished spot in my library and in my heart. 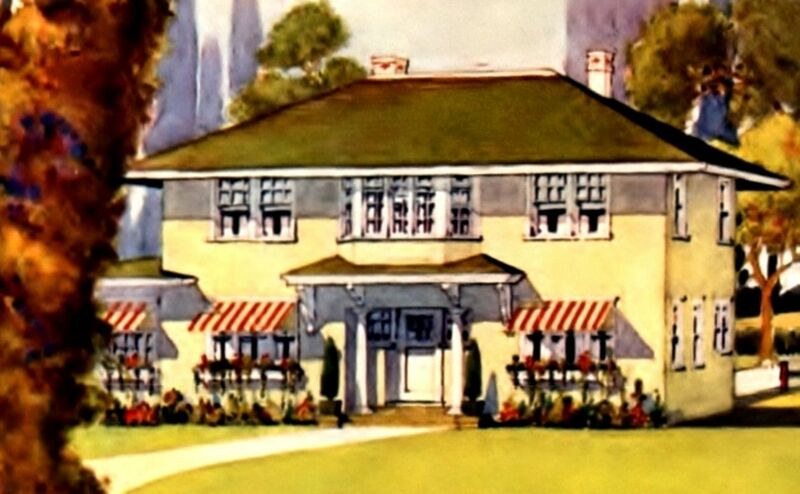 The house featured on the cover of “Houses By Mail” is the Sears Preston. 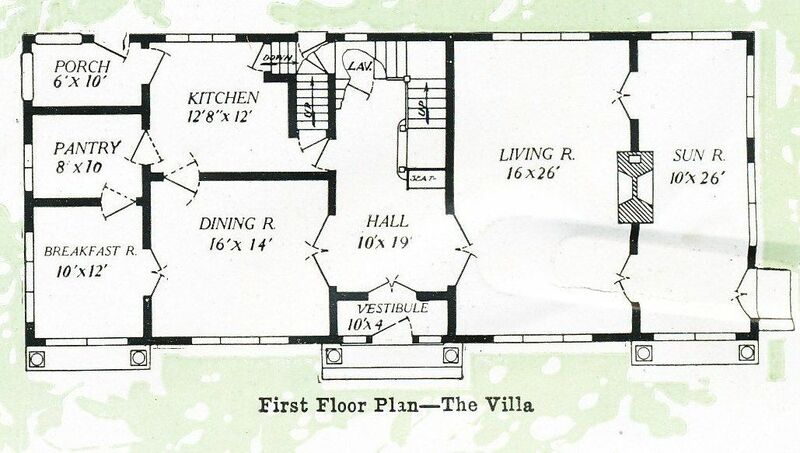 It’s a puzzle as to why the publisher selected this particular house, as it was a pretty rare model. When Pete Sanders first discovered a Sears Preston in Berkley, Michigan, it was love at first sight. Pete says he didn’t realize it was a Sears House until after he purchased it. Pete has very good taste in houses! 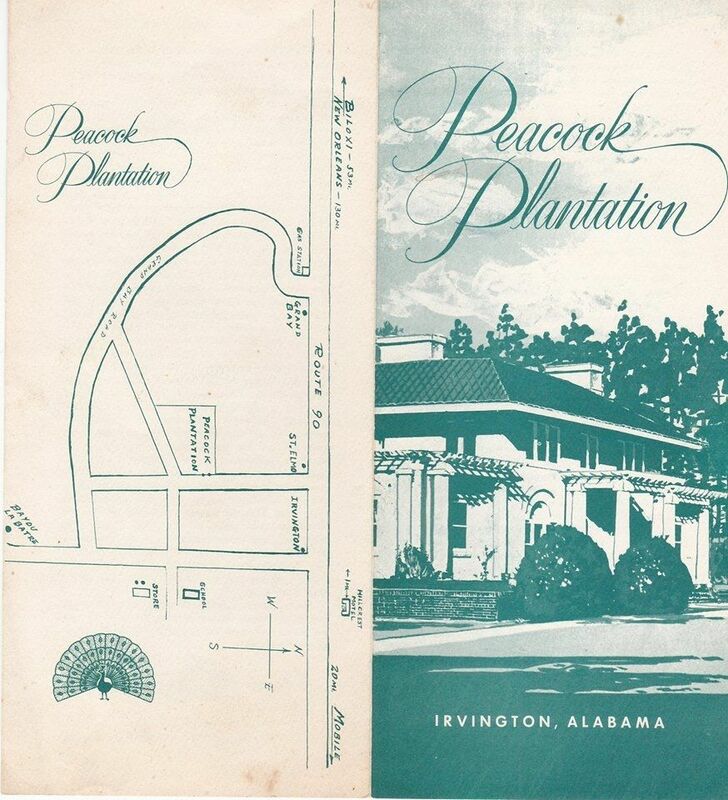 The Preston was one of the top five fanciest (and most expensive) houses that Sears offered, right up there with the Magnolia and the Lexington. Is there a Preston in your neighborhood? Send me a photo! And thanks to Pete Sanders, Catarina Bannier and Judy Davids for supplying all these wonderful photos! 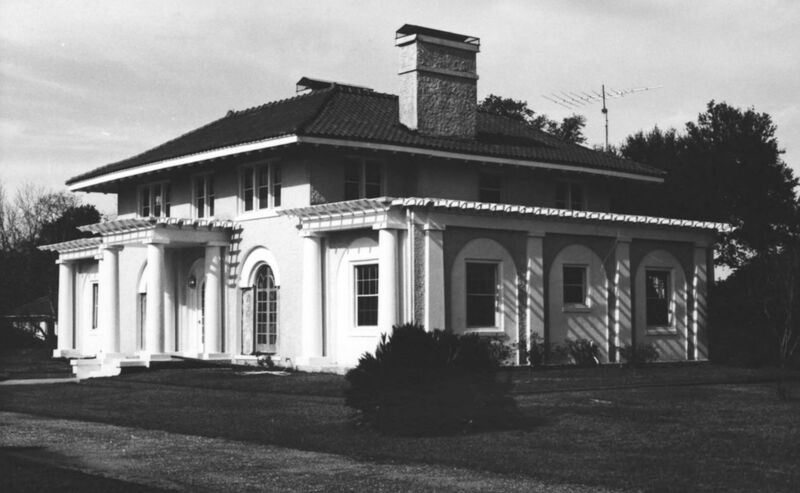 The Sears Preston was one of Sears biggest and fanciest homes. 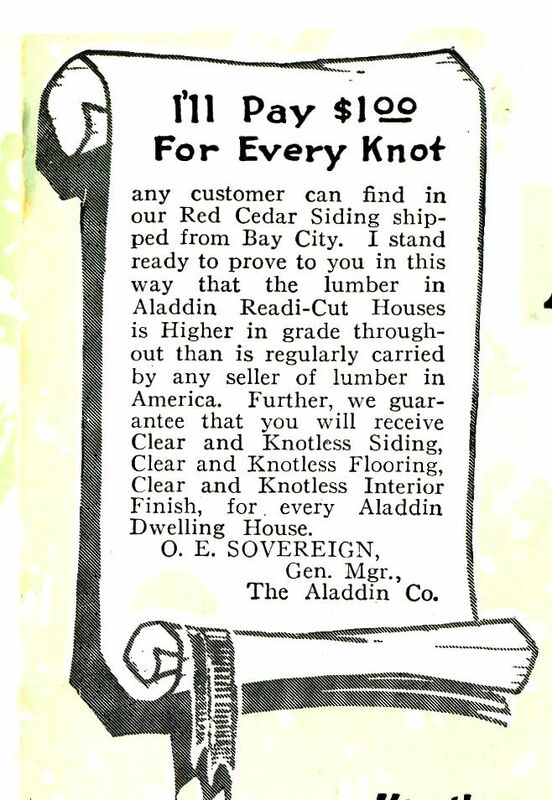 It's shown here in the 1921 catalog. Note the price. 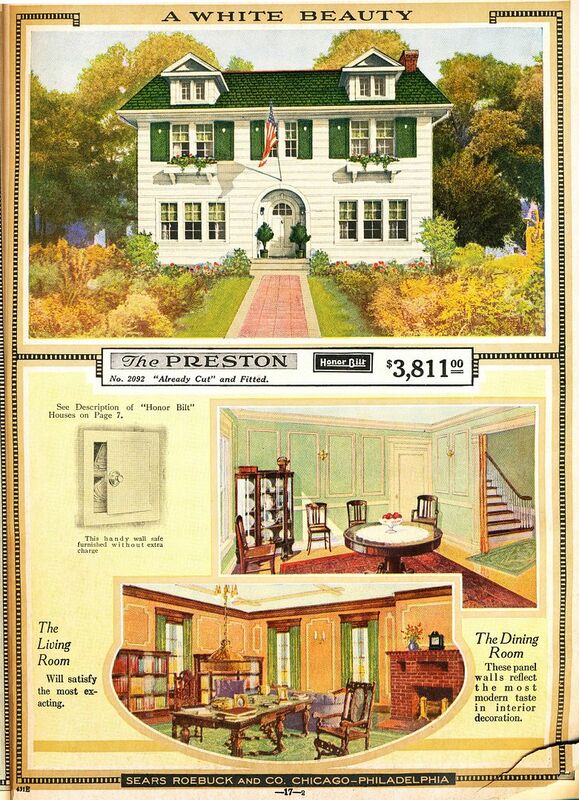 The Preston was second only to the Magnolia in terms of price and grandeur. 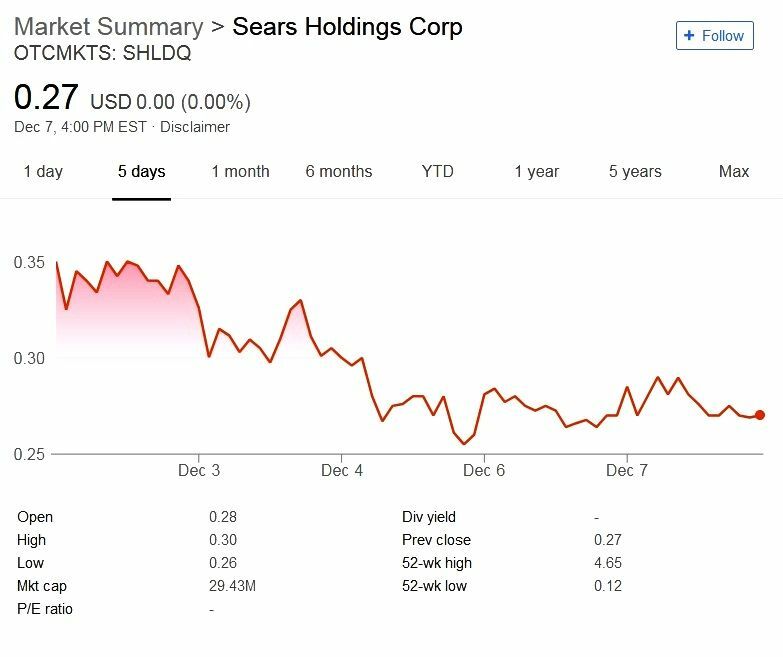 The Sears Magnolia was the most expensive house that Sears offered. Close-up of the Preston's dining room. Notice the detail on the living room fireplace. This is a classic design for a "Sears" fireplace. 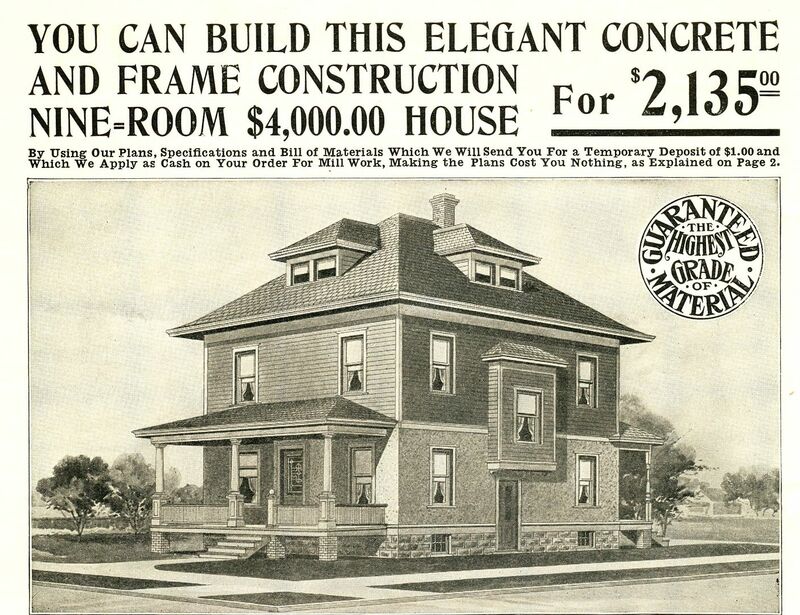 This was the only house Sears offered with an optional wall safe. I see some Federal Reserve notes on the bottom, but what's in the top shelf? 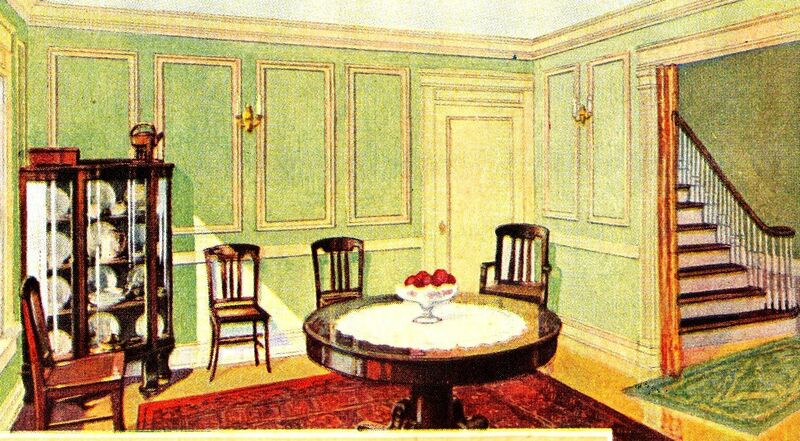 The Preston also had a built-in breakfast nook. 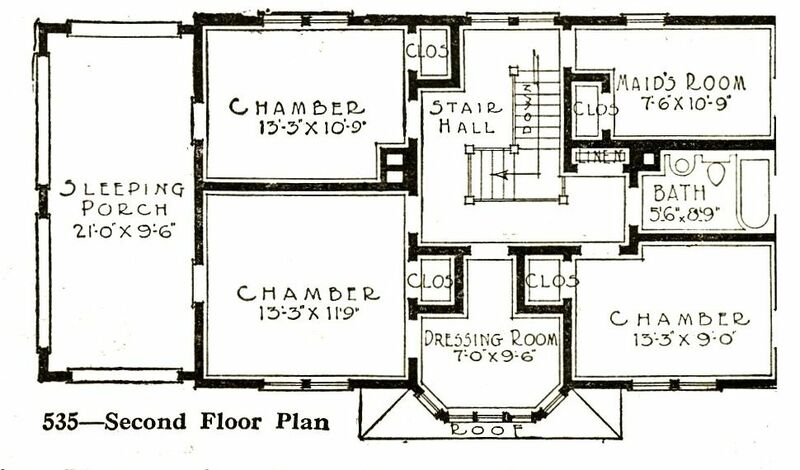 The floorplan shows the massive rooms. The living room was 27' long. That's a big room. 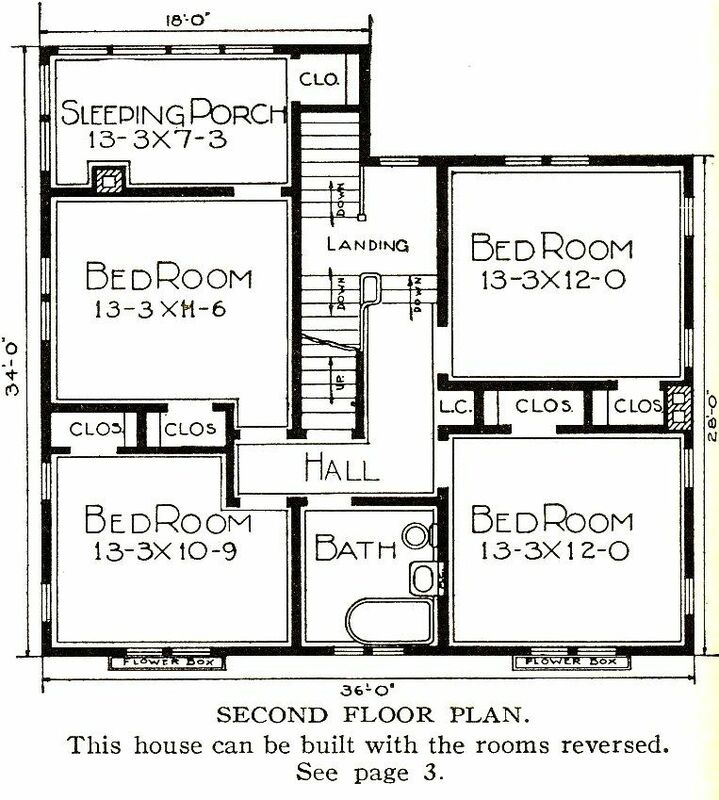 Upstairs had four modest bedrooms and a sleeping porch. It really was (and is) a beautiful home. 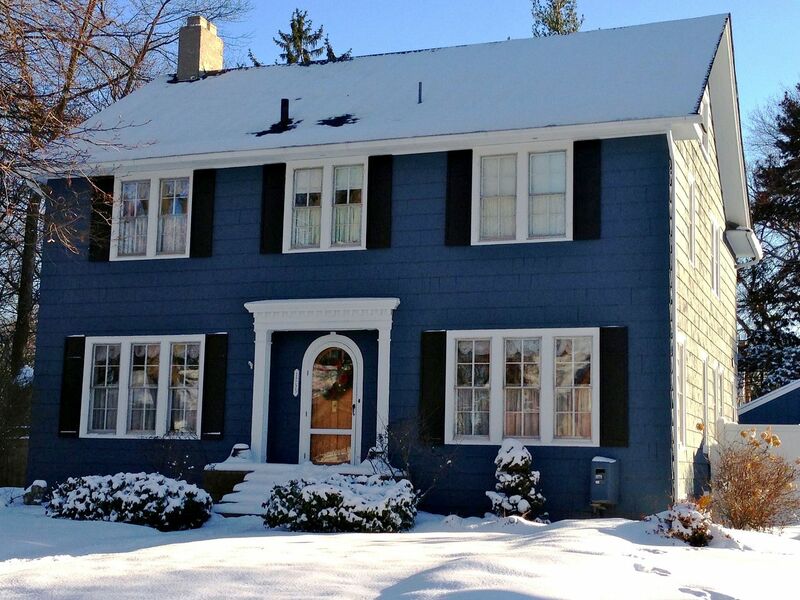 And here's the house that Pete Sanders fell in love with in Berkley, Michigan. 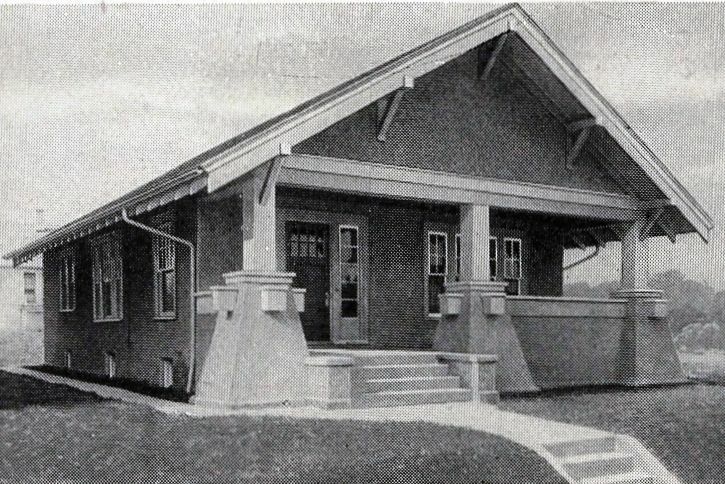 The dormers were removed and the front entry was remodeled sometime in the early 1930s. Photo is copyright 2012 Judy Davids and may not be used or reproduced without written permission. Incredibly, Pete has some vintage photos of the house. 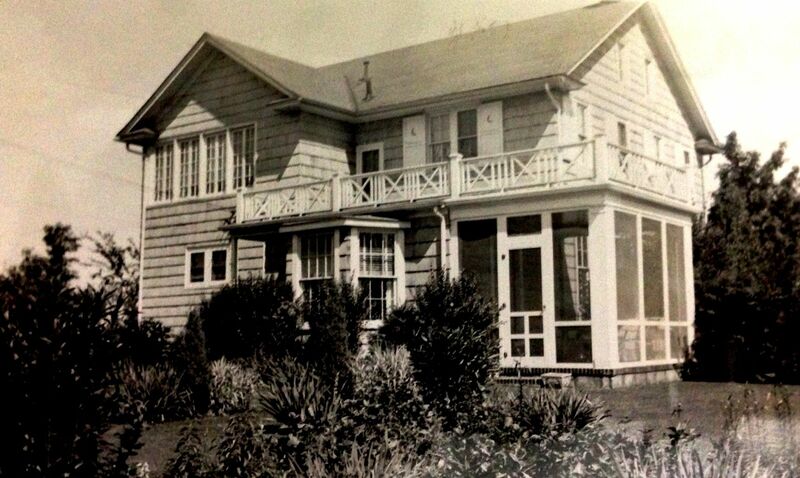 This photo shows the house with the original dormers and entry-way. Even the flower boxes are in place. Photo is courtesy of Pete Sanders and may not be used or reproduced without written permission. 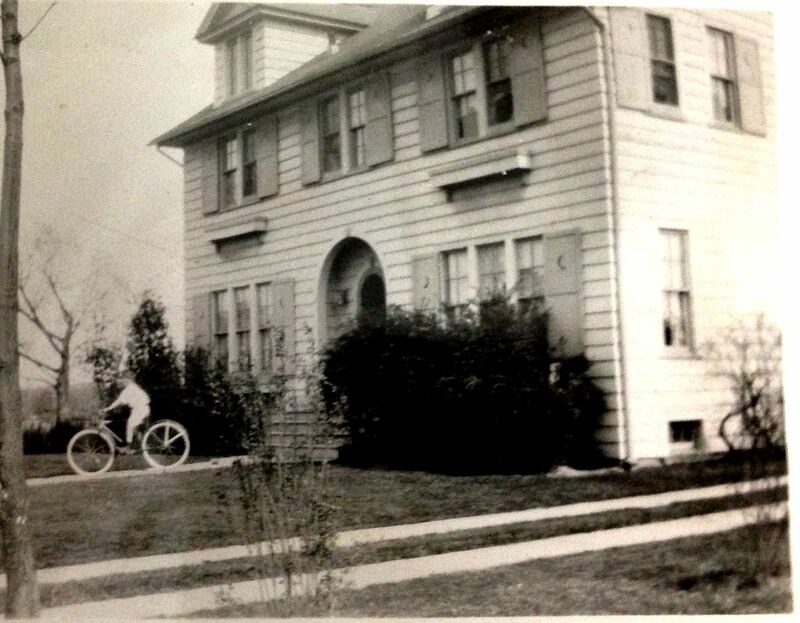 This shot shows a cute little kid on a big bike and also the home's original entryway. Photo is courtesy of Pete Sanders and may not be used or reproduced without written permission. And the home's rear. 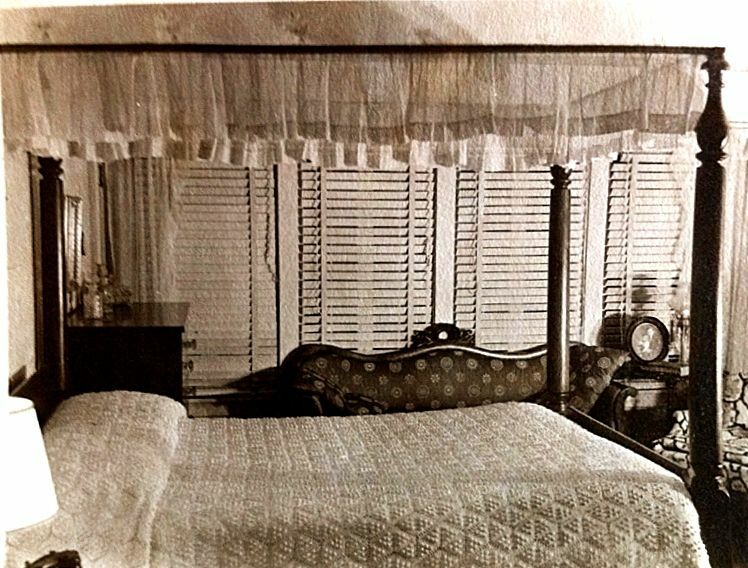 One of the unique features of the Preston was that it was one of only FIVE models that Sears offered with functional shutters. 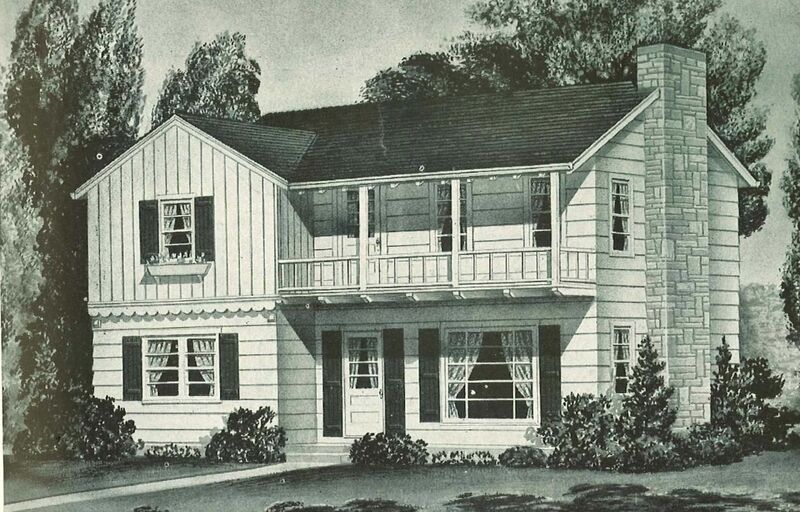 (In addition to The Preston, the other Sears Homes with real shutters were The Puritan, The Lexington, Martha Washington and The Verona.) 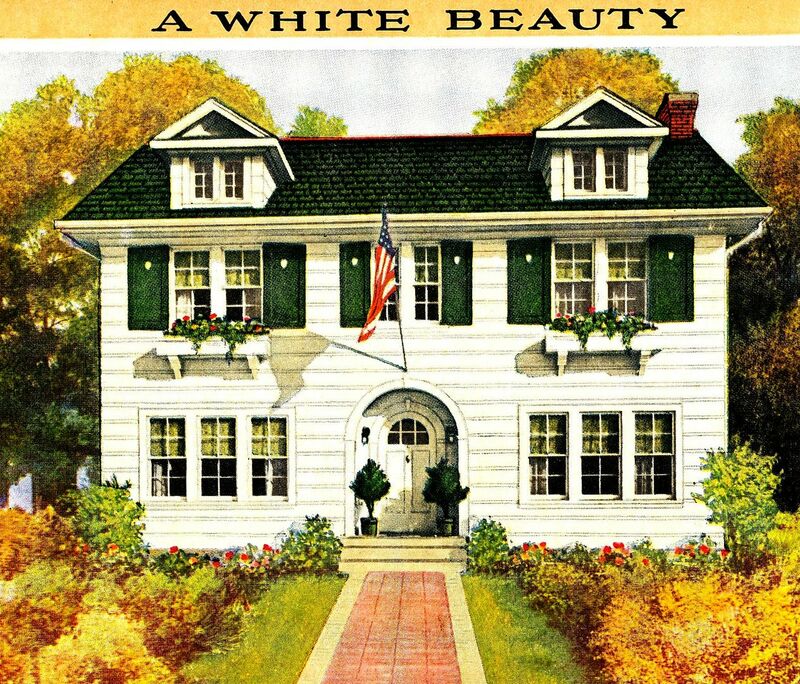 The other Sears Homes had decorative shutters that were permanently affixed to the wall. Photo is courtesy of Pete Sanders and may not be used or reproduced without written permission. And a wonderful photo showing a picture-perfect picket fence for a perfect and pretty Preston. Photo is courtesy of Pete Sanders and may not be used or reproduced without written permission. Close-up of the house. Photo is courtesy of Pete Sanders and may not be used or reproduced without written permission. Another view of the house, post-entry-way remodel. The dormers were removed when the entry-way was squared off. Photo is courtesy of Pete Sanders and may not be used or reproduced without written permission. 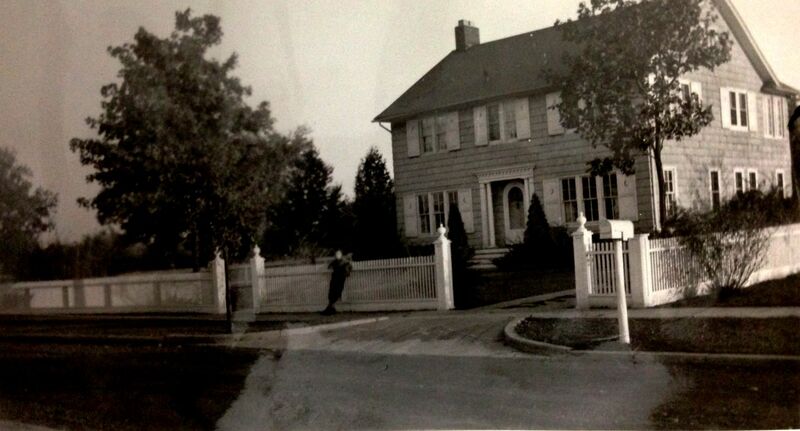 Another view of the house, showcasing that incredible fence. Photo is courtesy of Pete Sanders and may not be used or reproduced without written permission. 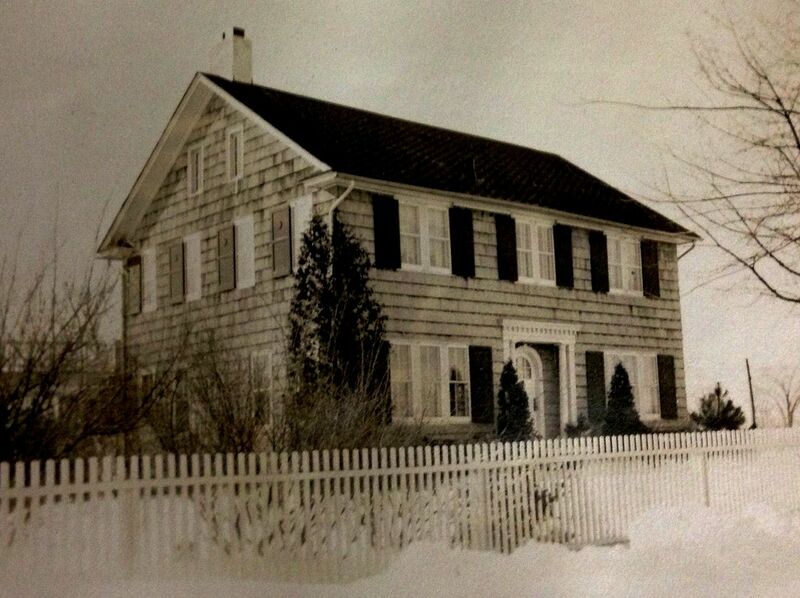 The Baldwins owned the home in the 1930s. Judging from this photo, they didn't have the official Sears fireplace (shown above). 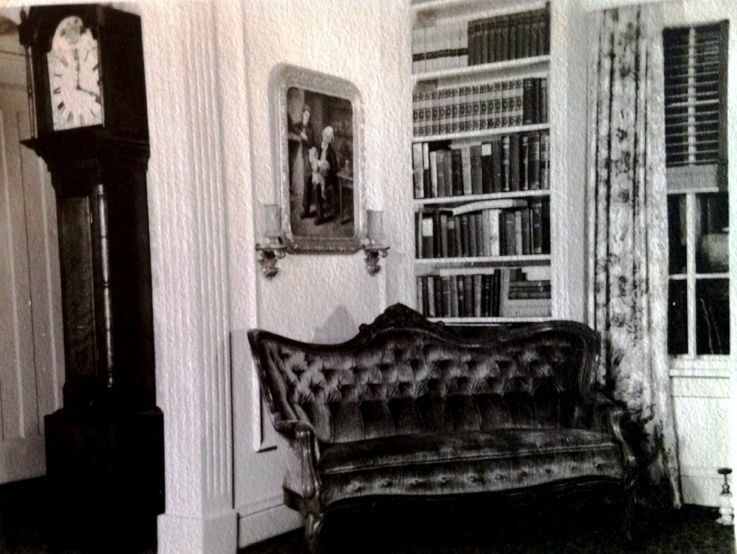 You can see a piece of the original built-in bookcases behind Father's left shoulder. Ernest R. Baldwin (seated) was the mayor of Berkley from 1932 to 1944. Those were tough years to be a mayor of any town. Florence Church Baldwin is seated beside him. 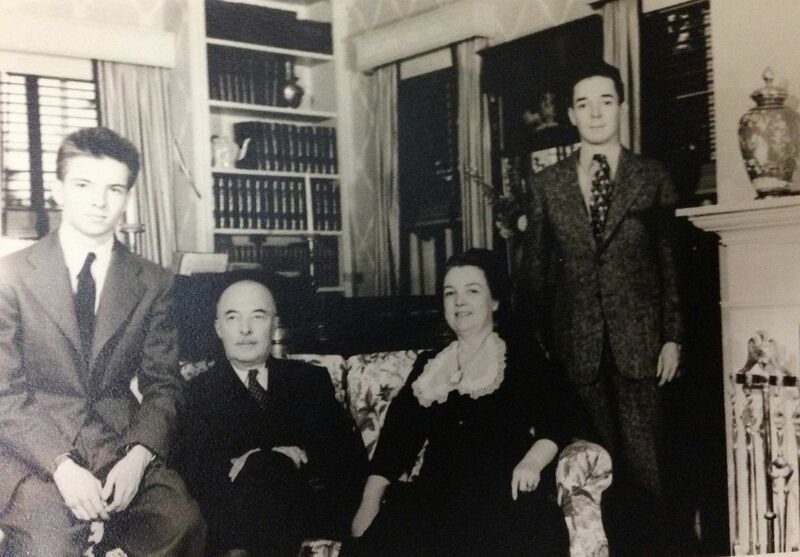 Also pictured are their two sons, Robert and James. Ernest R. Baldwin was a veteran from The Great War. Photo is courtesy of Pete Sanders and may not be used or reproduced without written permission. Pete really scored a bonanza with these photos of the home's interior. This is the living room, adjoining the entry hall. Photo is courtesy of Pete Sanders and may not be used or reproduced without written permission. And check out the bedroom! What a perfect picture, encapsulating the furnishings and lifestyles of the early 1930s. Photo is courtesy of Pete Sanders and may not be used or reproduced without written permission. 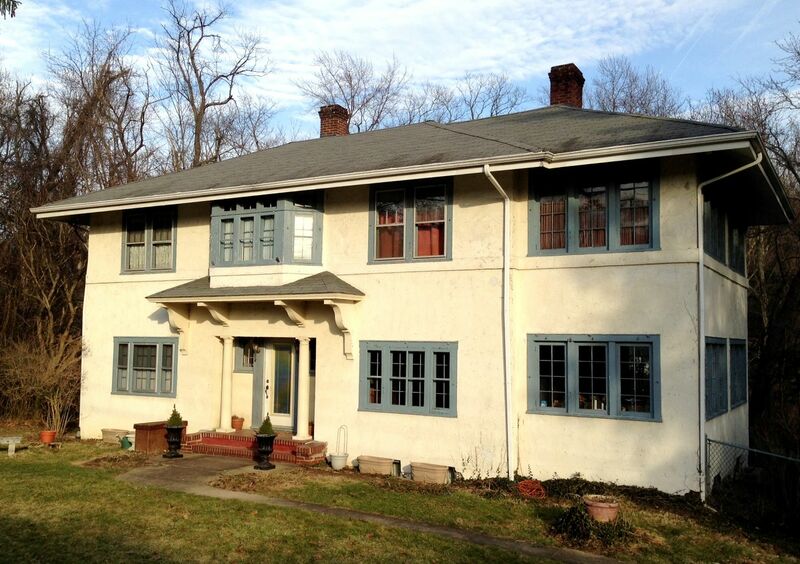 The Preston is a very rare Sears kit home, but Catarina Bannier found one in the Washington DC area. Photo is copyright 2012 Catarina Bannier and may not be used or reproduced without written permission. And I found this one in Wyoming, Ohio in 2003. It is indeed a real beauty. To join our group on Facebook, click here.